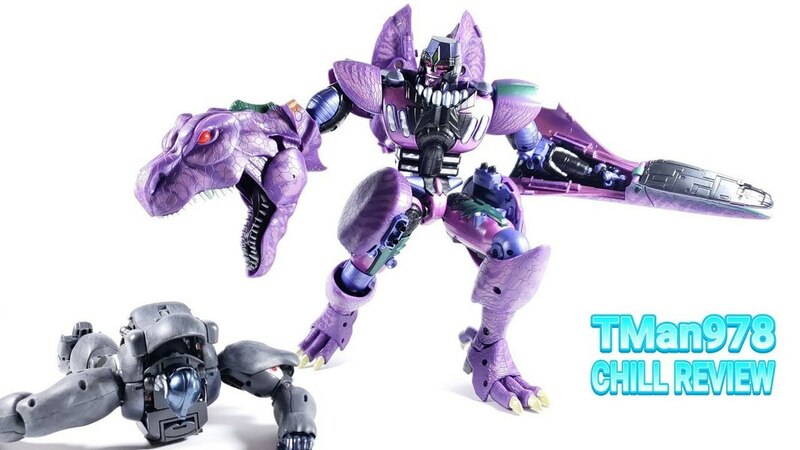 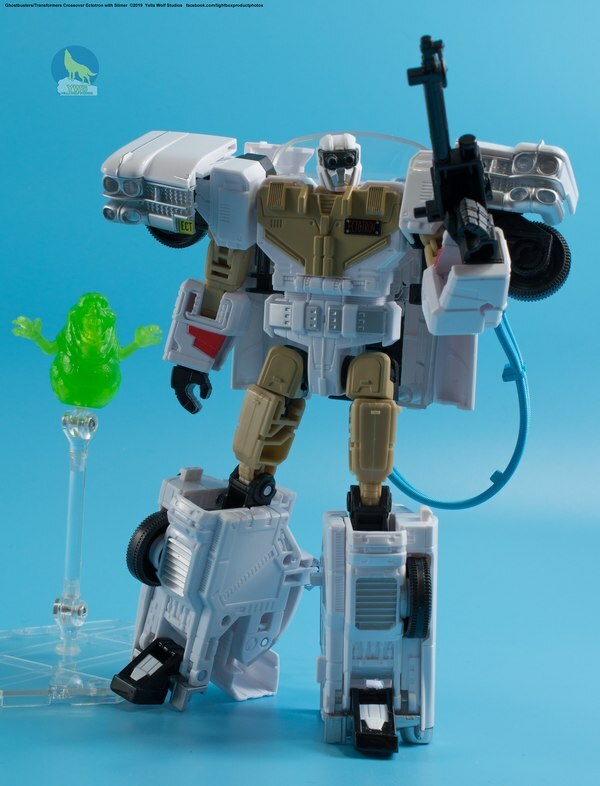 Thanks to Megalopolis Toys for providing us with this sample for review! 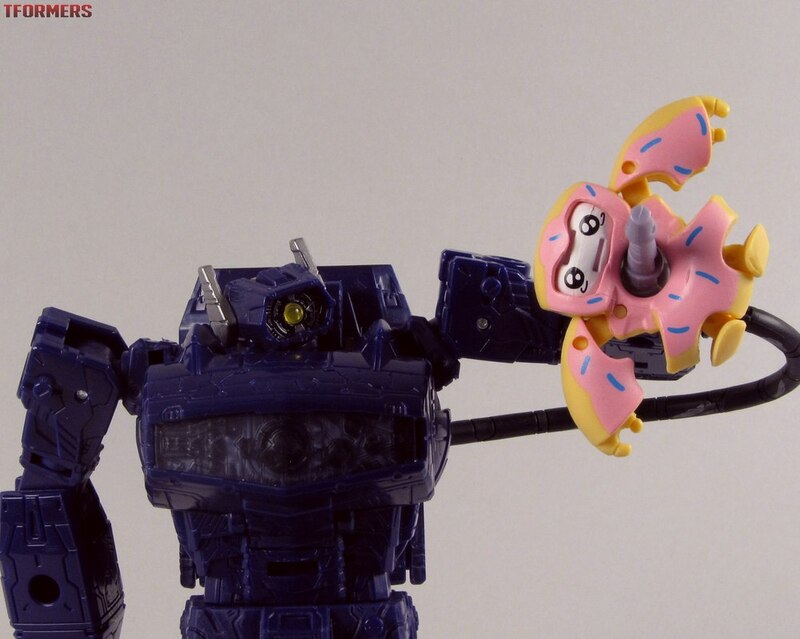 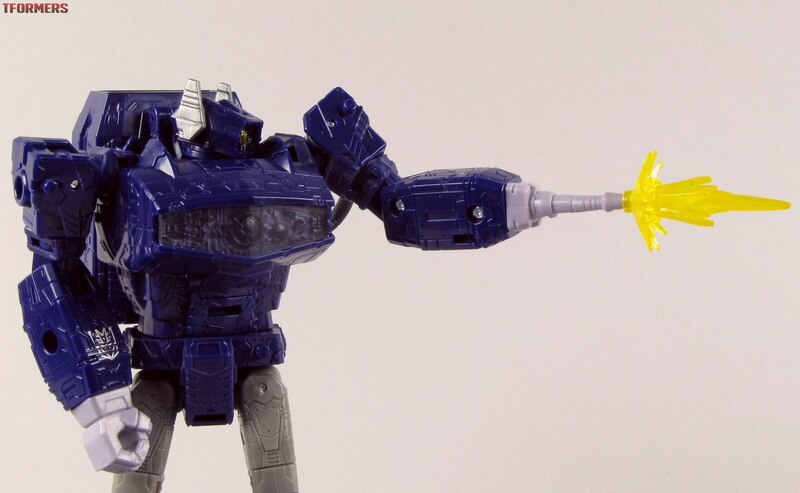 RAC really likes Shockwave. He's a bit small for a Leader, but he has so much going on. 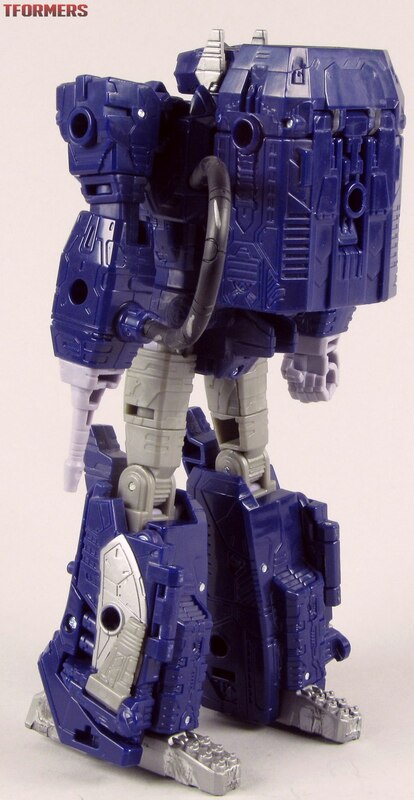 Devoid of his option parts he's a really good Voyager-sized rendition of G1 Shockwave who trades in his Space Gun mode for a more sensible Space Battleship. 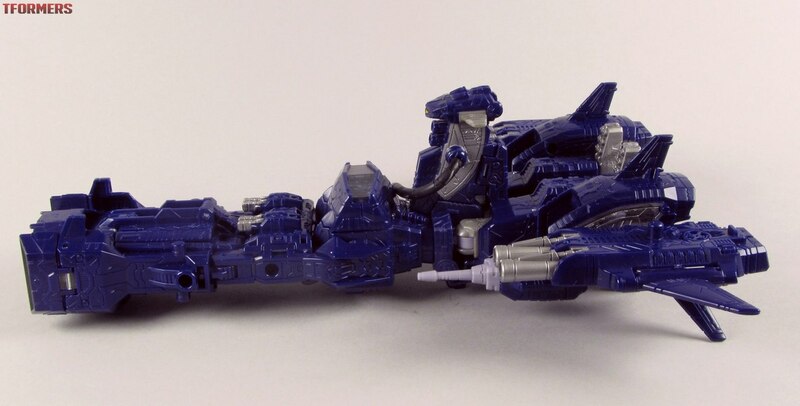 But add in the parts and he can do so much more, from becoming a really fancy Space Battleship, to riding a heavily armed booster sled, to his Battle Mode which RAC has tried (and failed!) 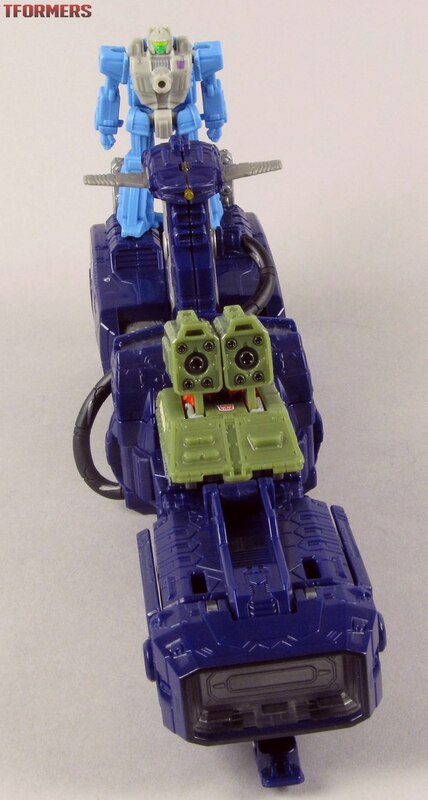 to think of by any name other than "Dr. 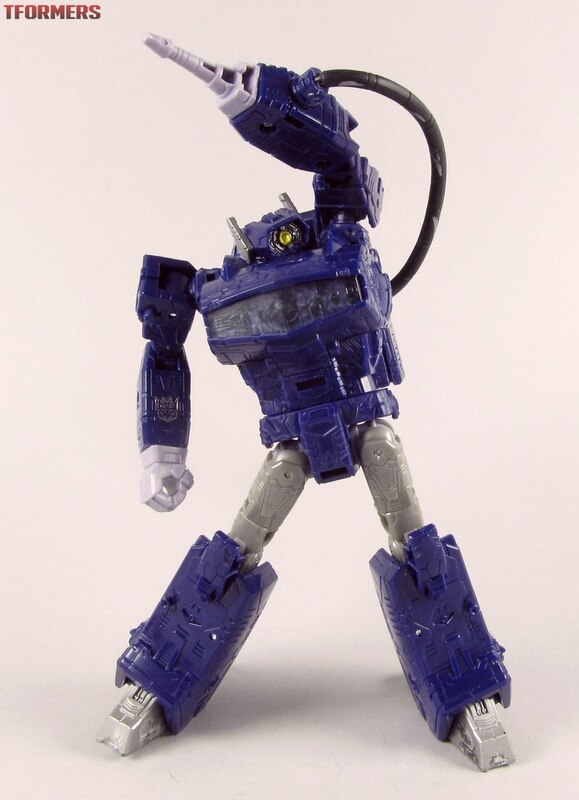 Shocktopus." 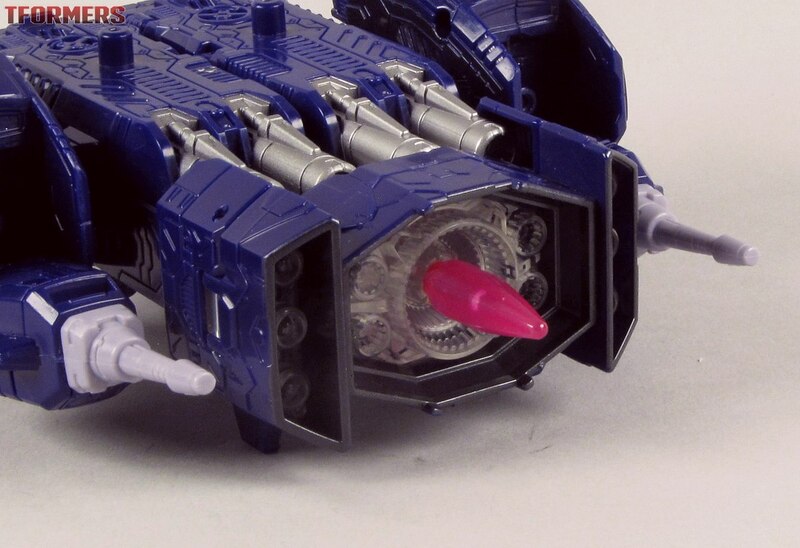 But it's right there, guys. 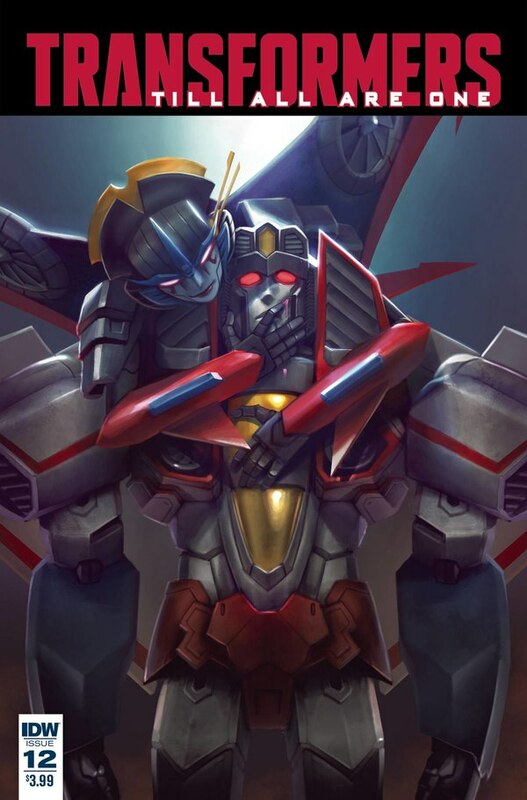 How can you not? 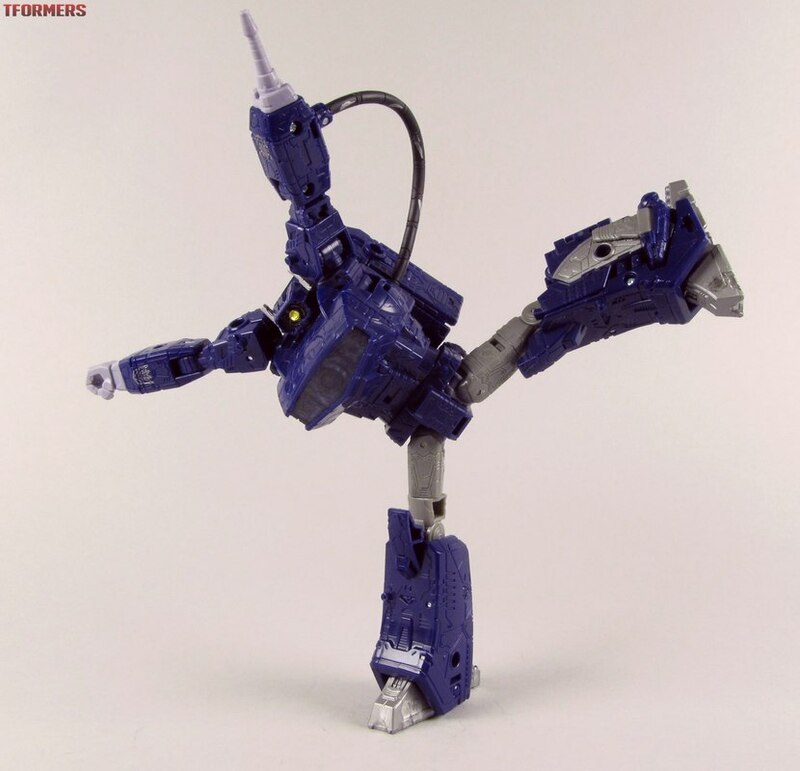 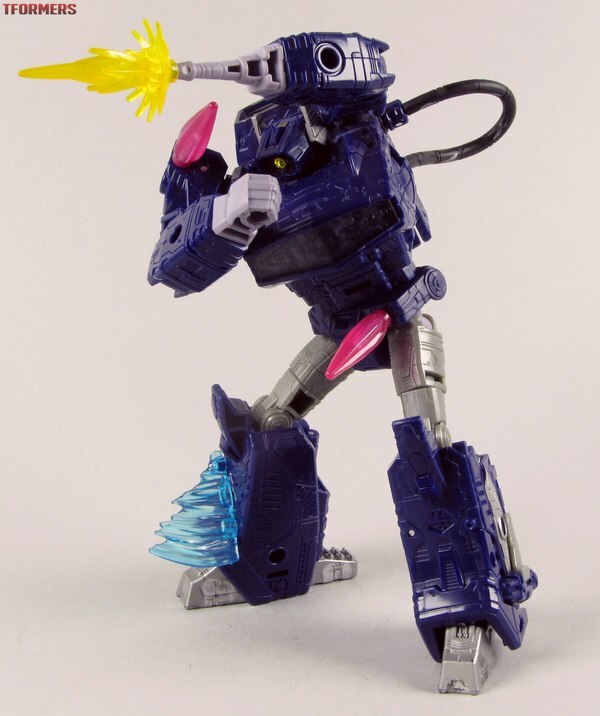 RAC's also wondering if he's imagining the amount of influence that other `80s robot shows, particularly anime, have had on this figure. 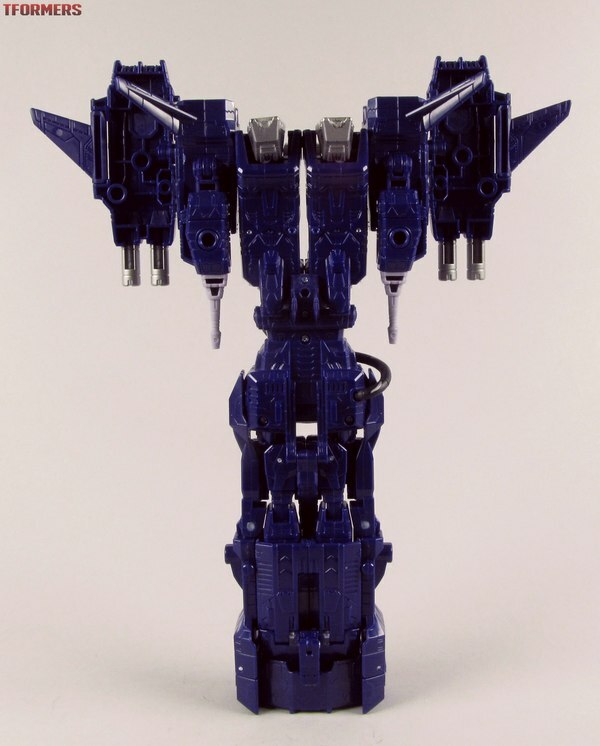 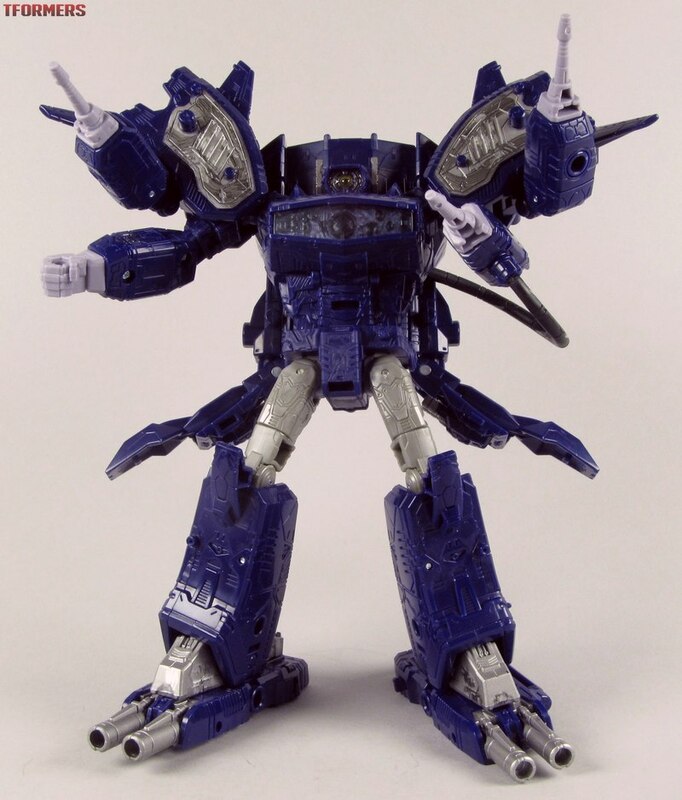 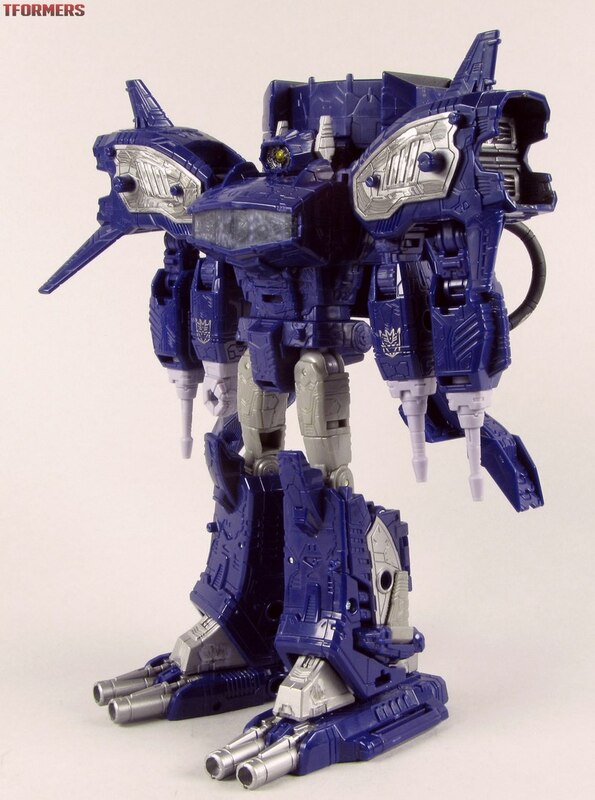 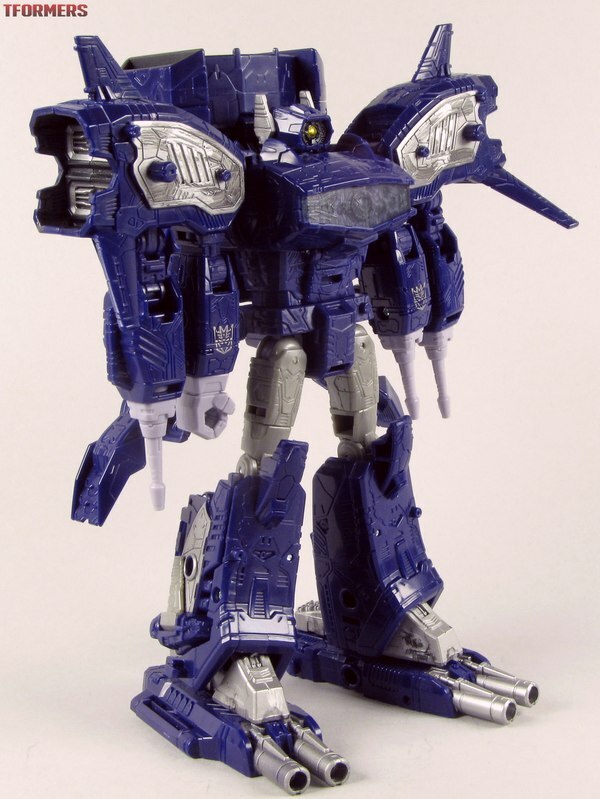 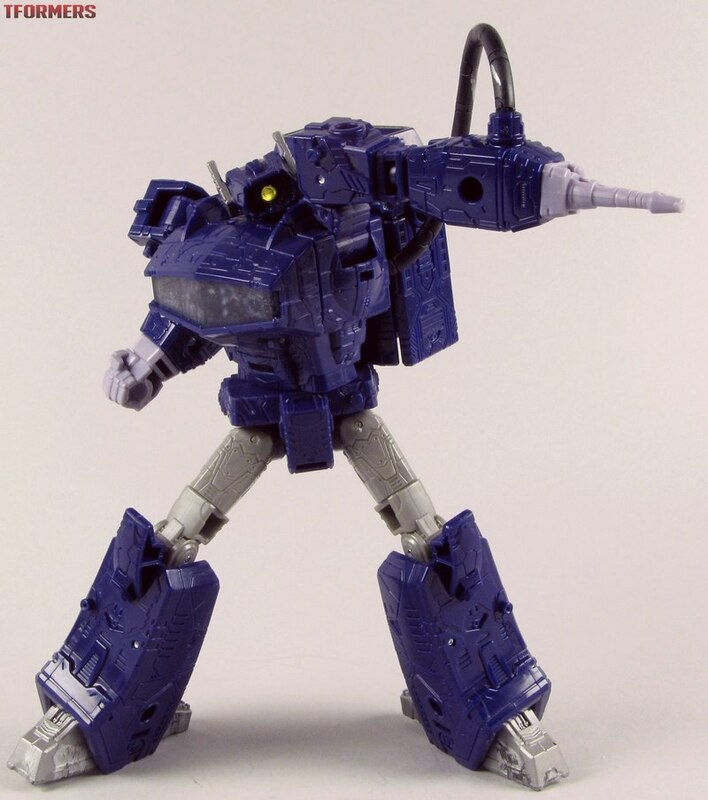 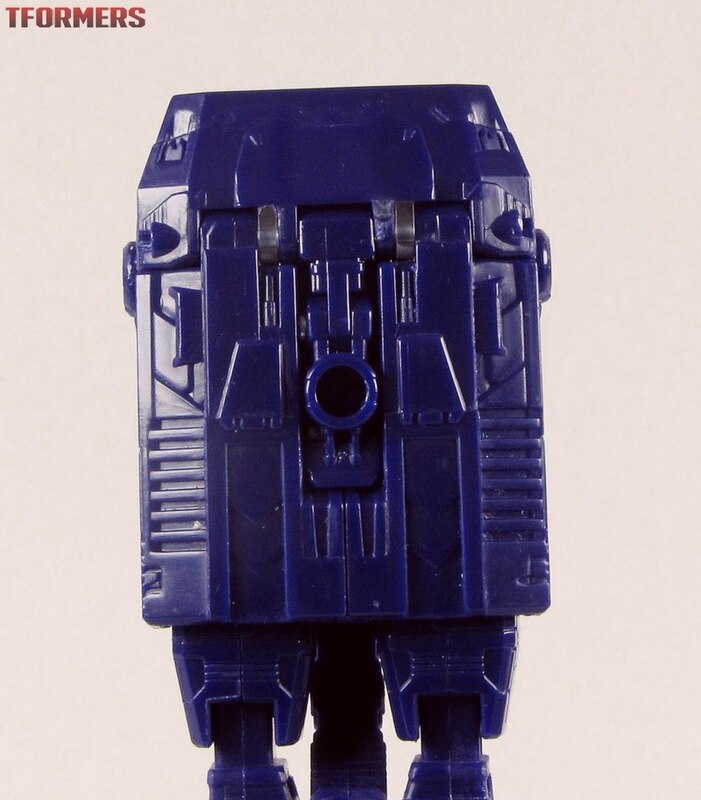 Stylistically Shockwave's base form looks like an Earth Federation Battleship from Mobile Suit Gundam. 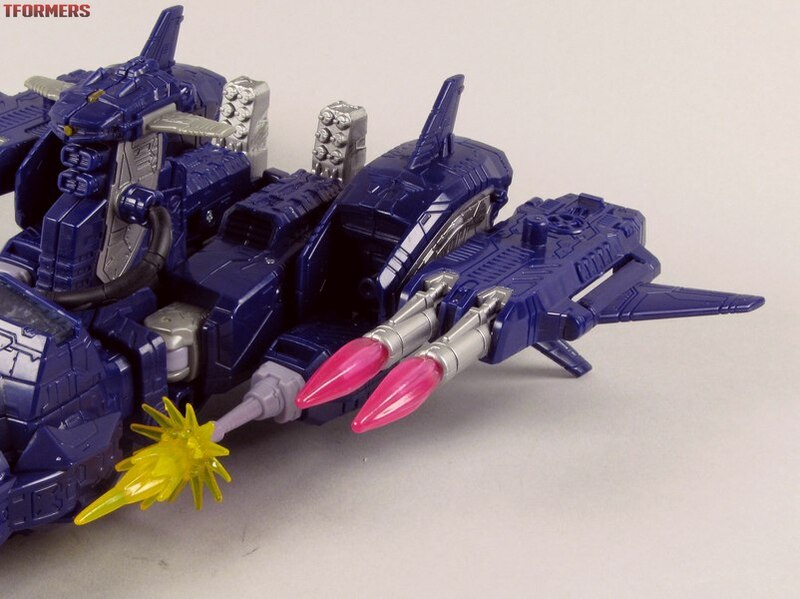 Stylewise, Fancy Battleship Mode has more of a flavor of the 1985 sequel Mobile Suit Zeta Gundam. It's little secret that the designers were inspired by `80s mecha art such as Studio OX, so it's little surprise that they'd have other influences from that era as well. 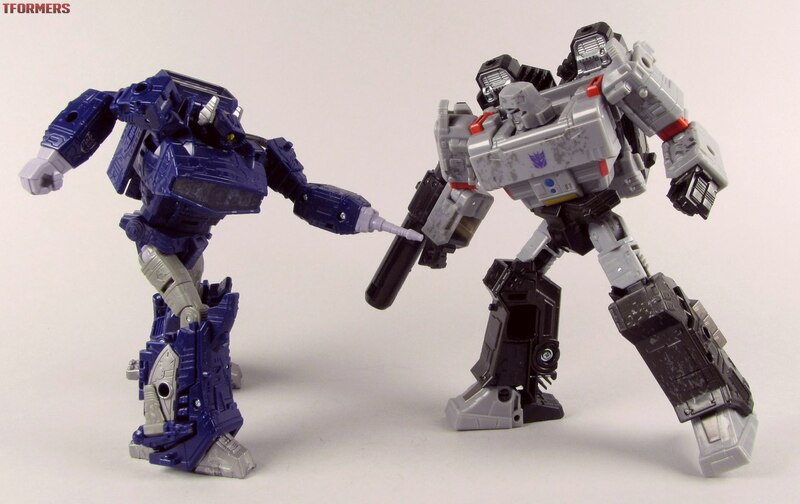 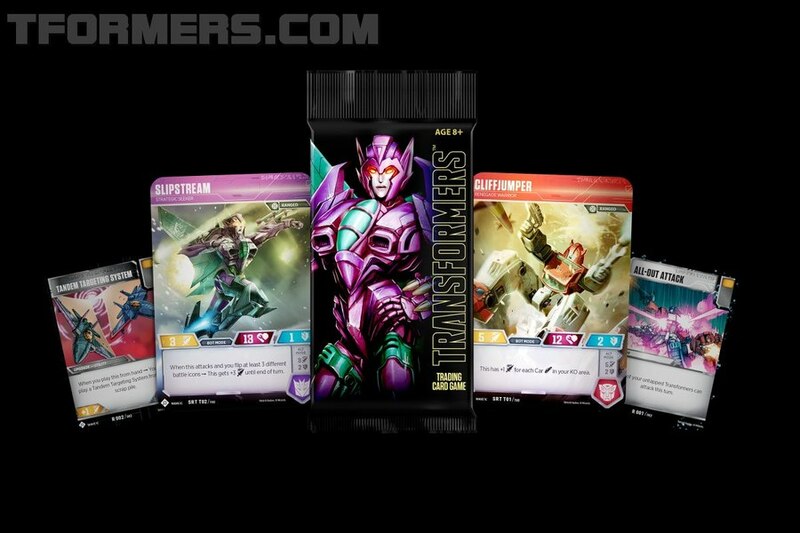 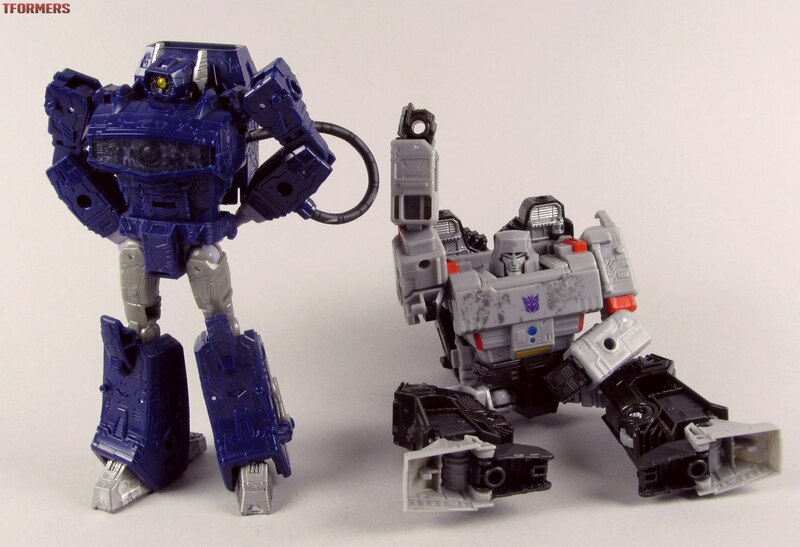 Why put them on Shockwave? 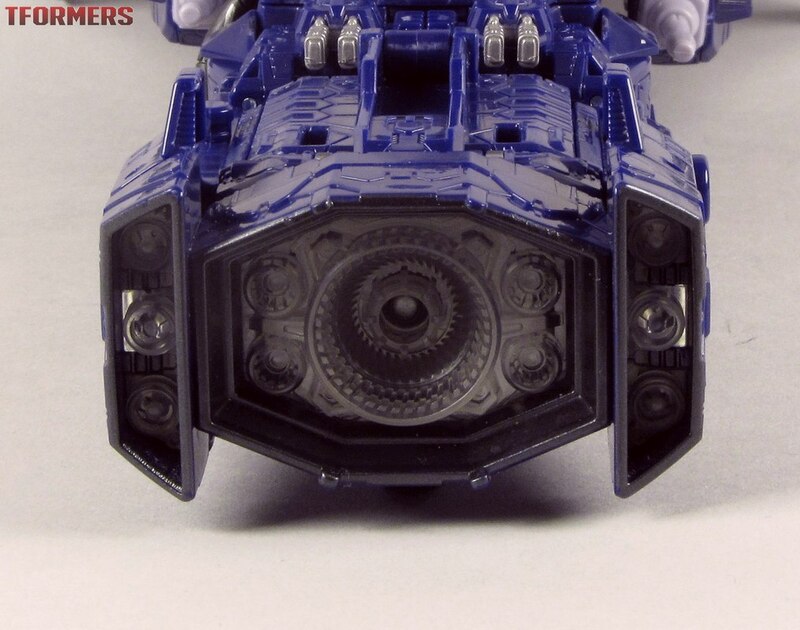 Well, because Gundam was the series that popularized cyclopean robot designs in Japan with the Principality of Zeon's trademark "Monoeye" camera system. 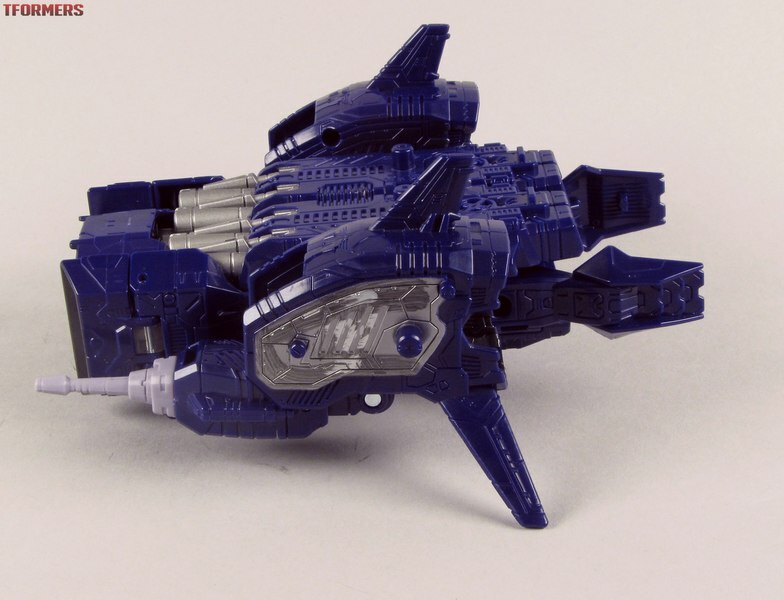 Whether the influences here are intentional or coincidence, making Shockwave a spaceship instead of a "submarine" was a logical (and inspired!) 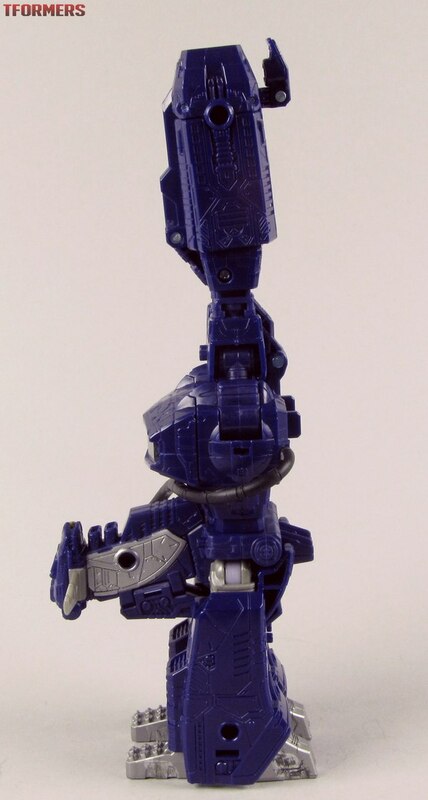 move. 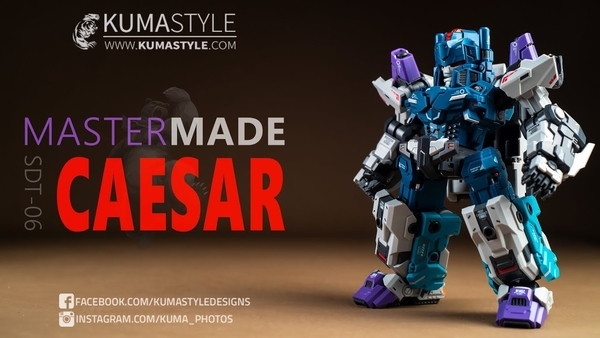 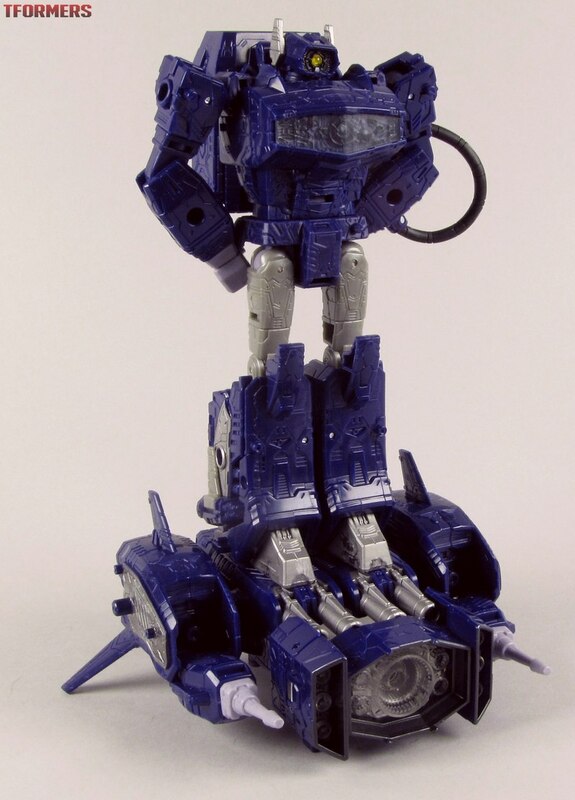 Mine arrives tonight from Kapowtoys too, can't wait. 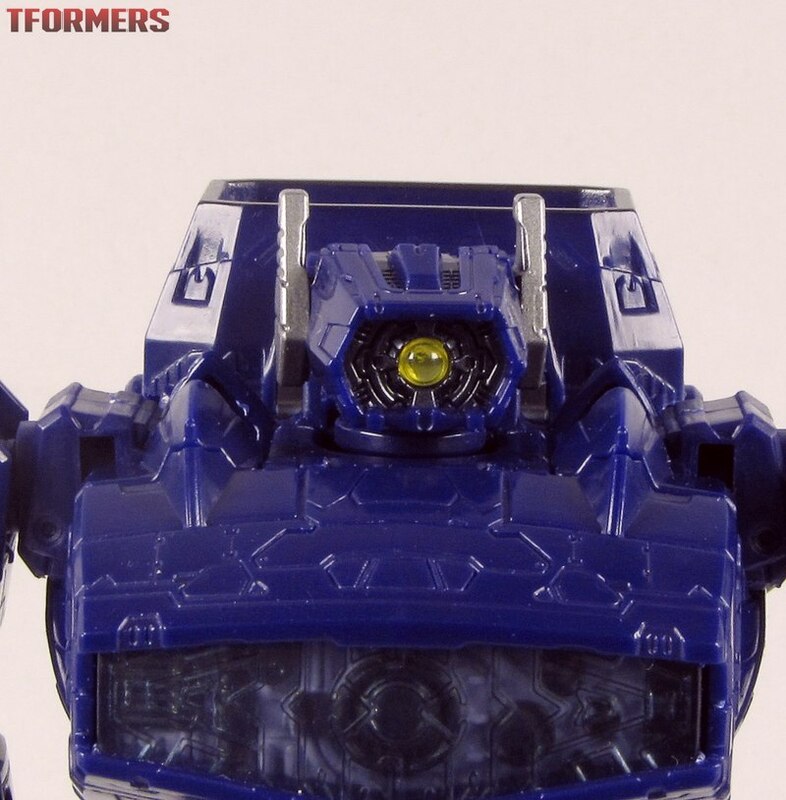 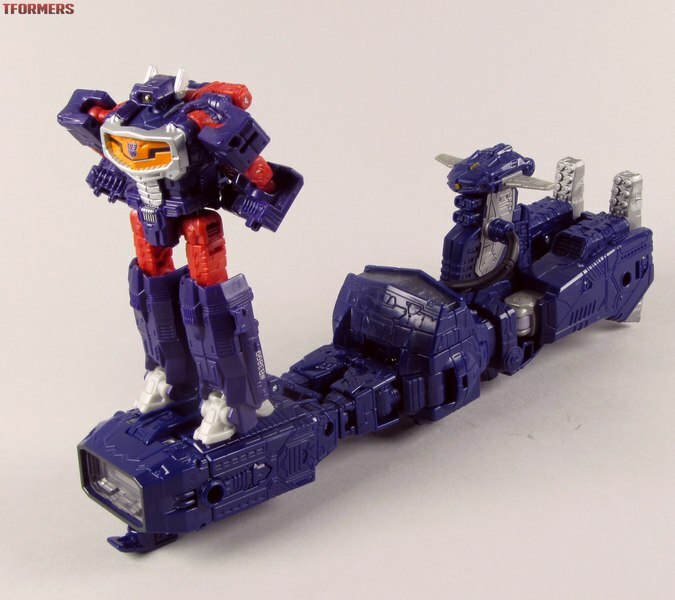 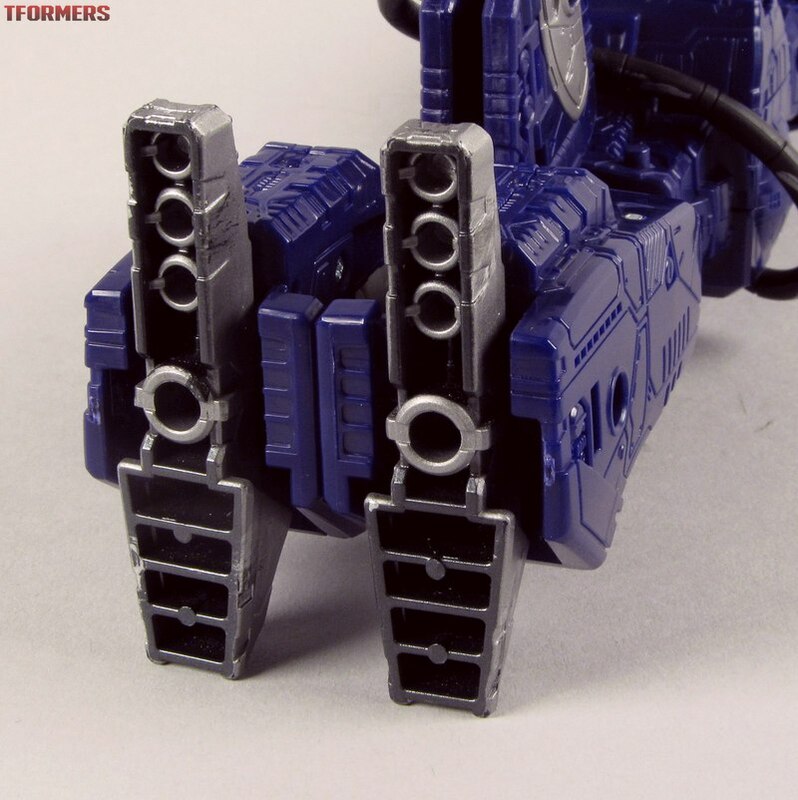 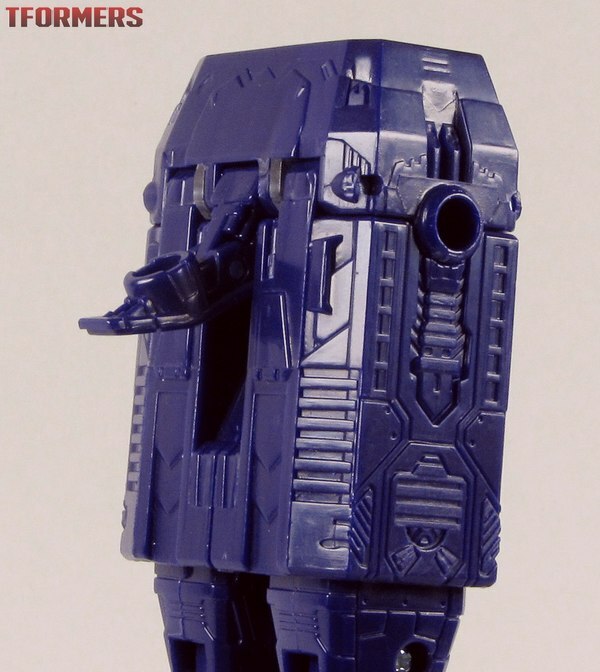 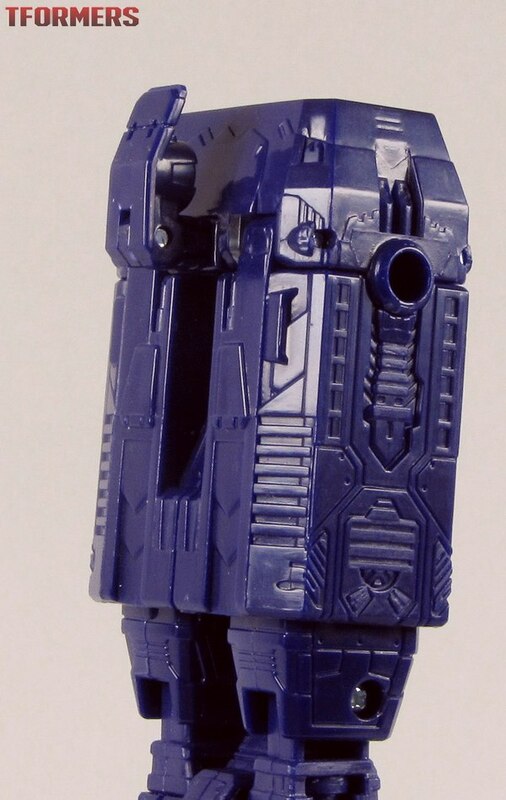 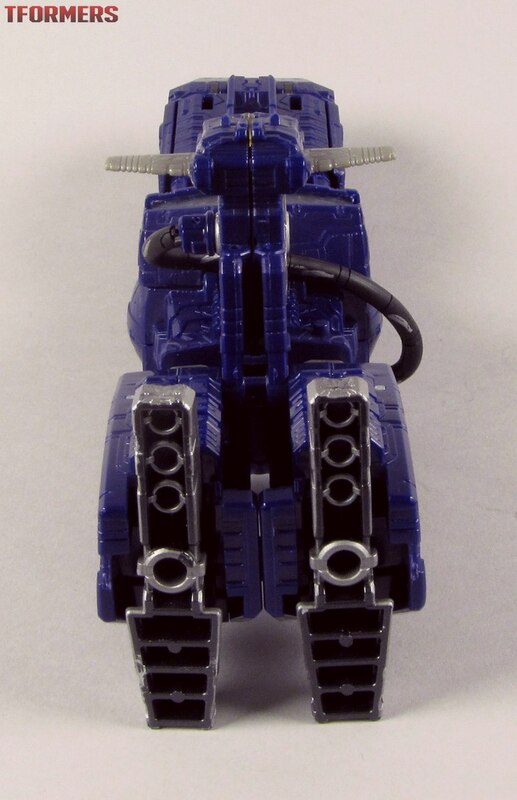 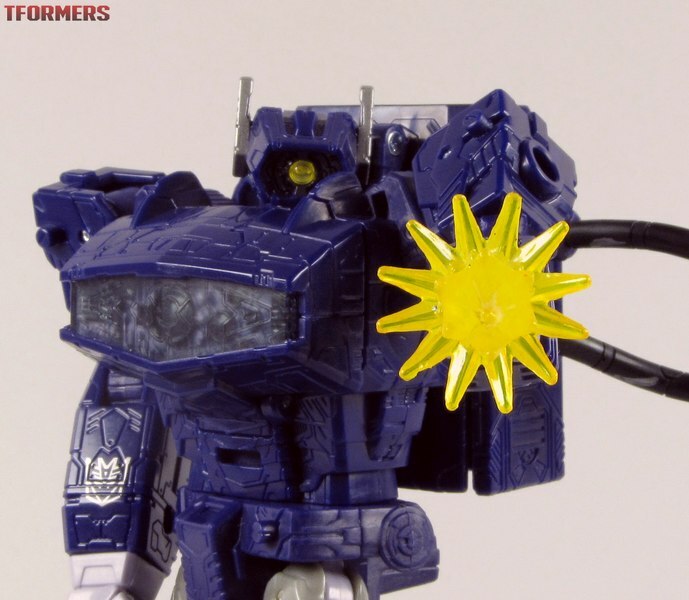 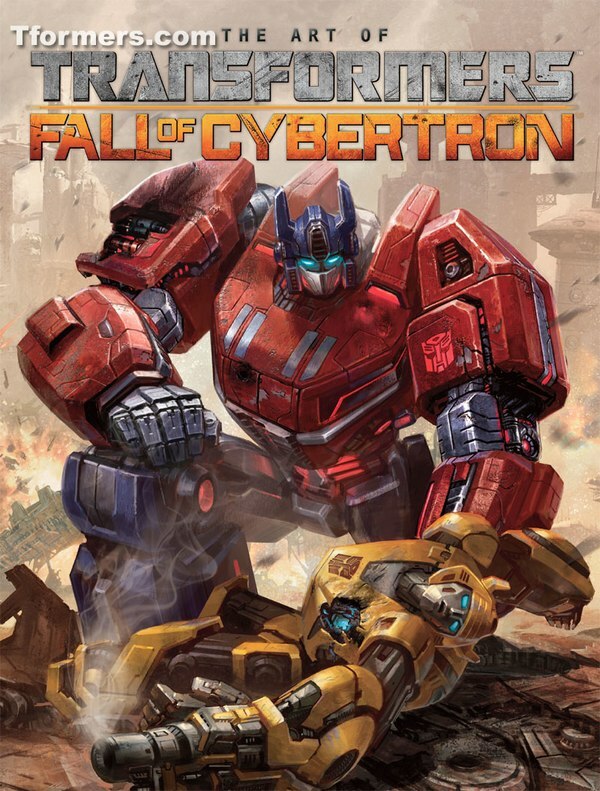 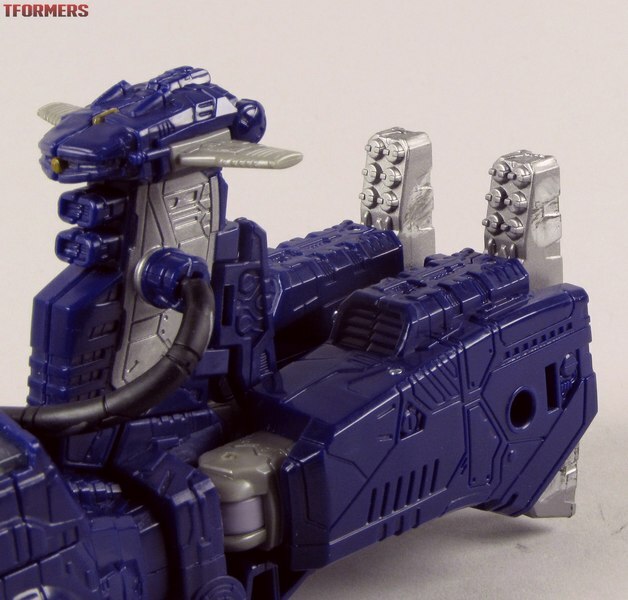 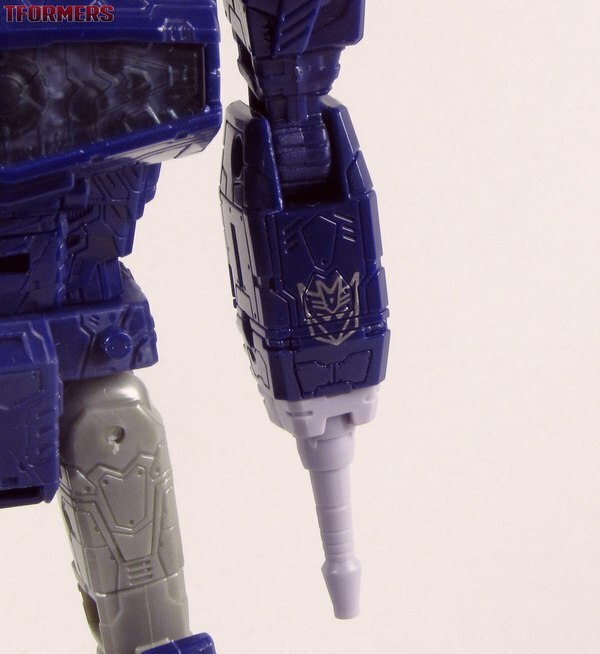 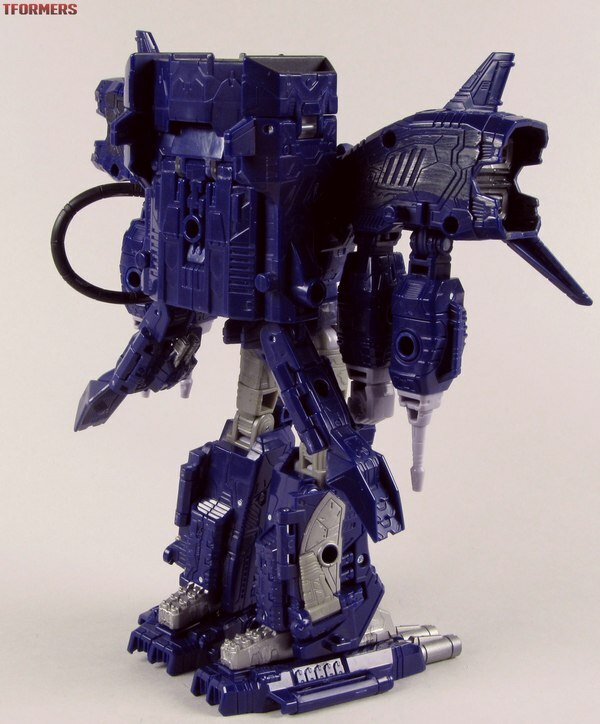 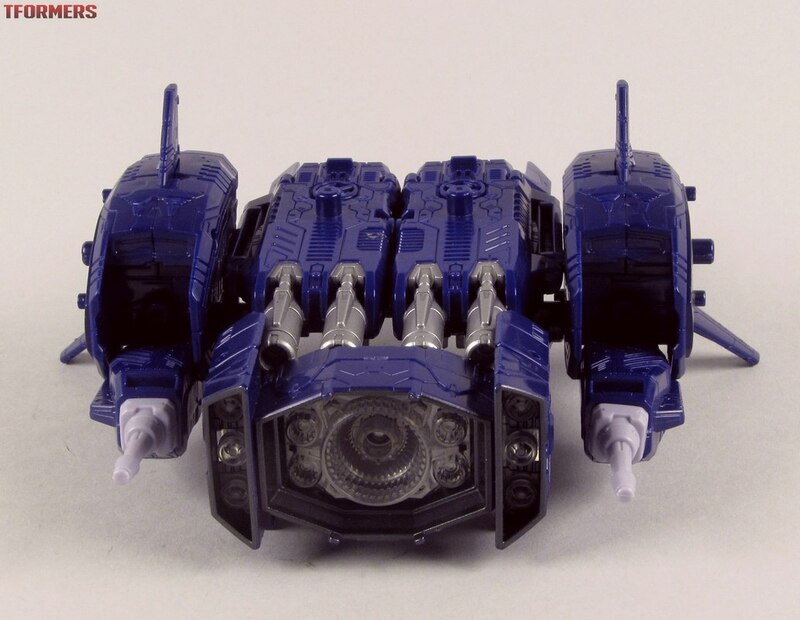 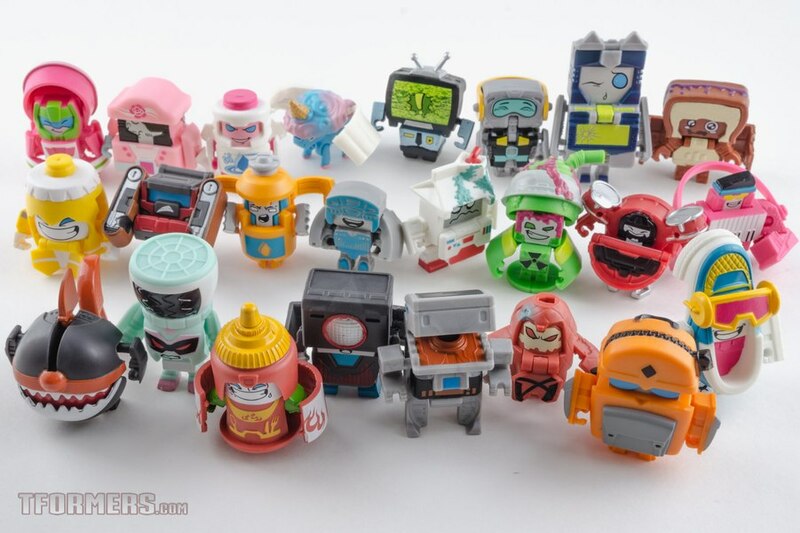 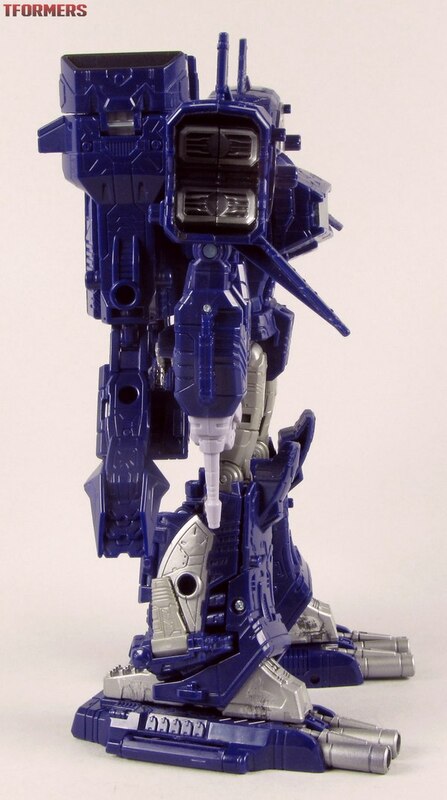 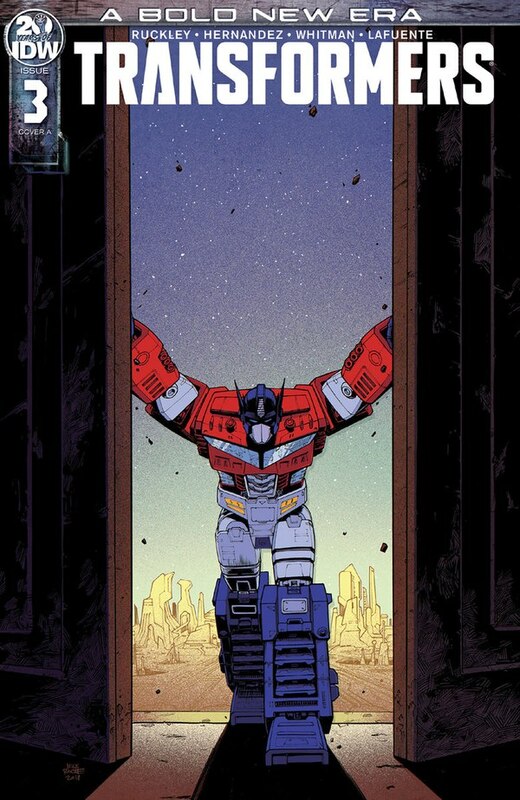 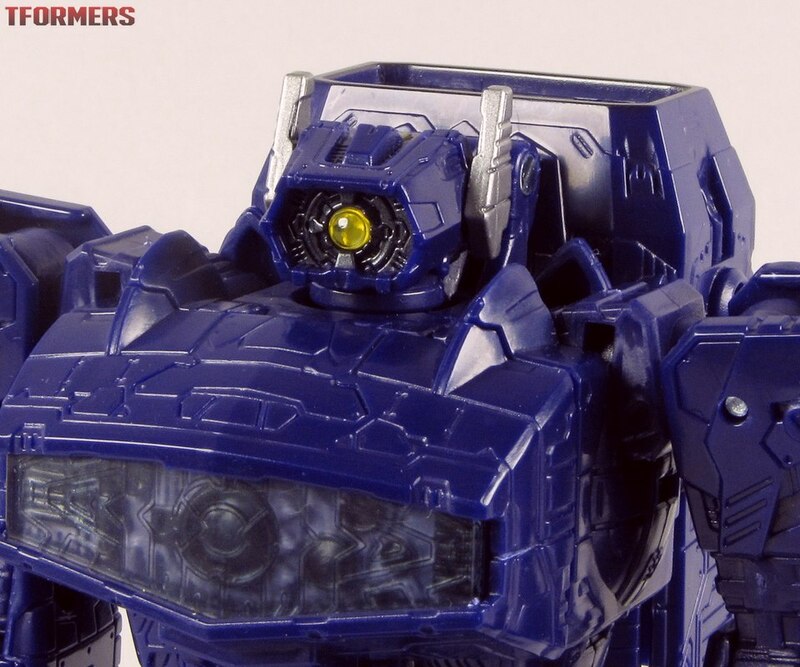 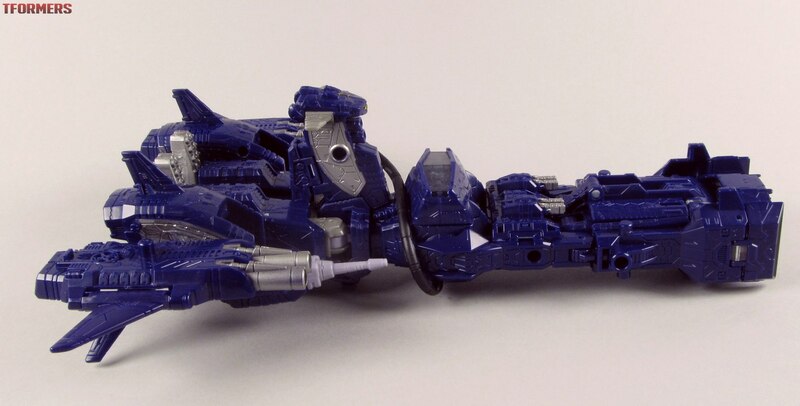 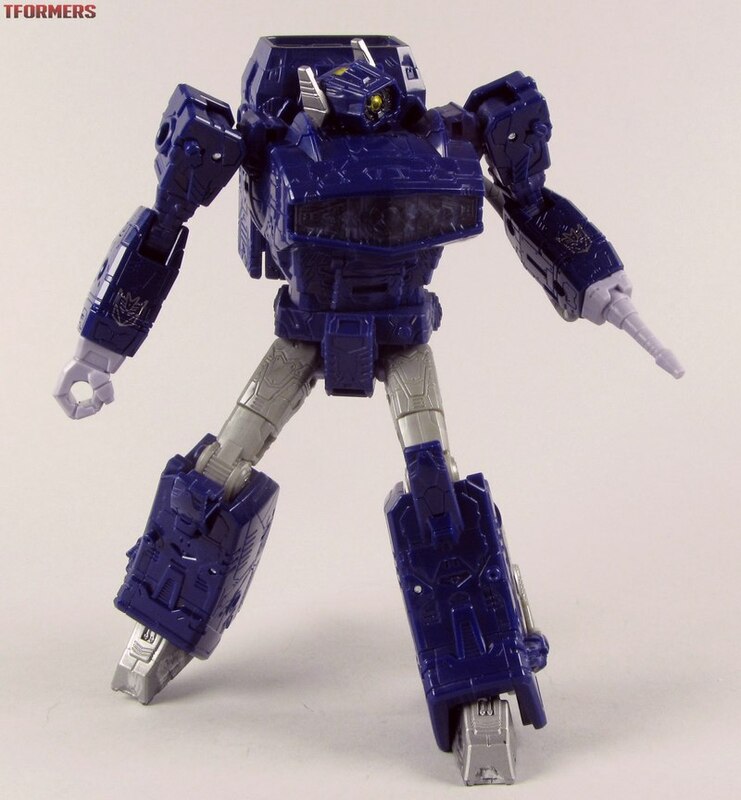 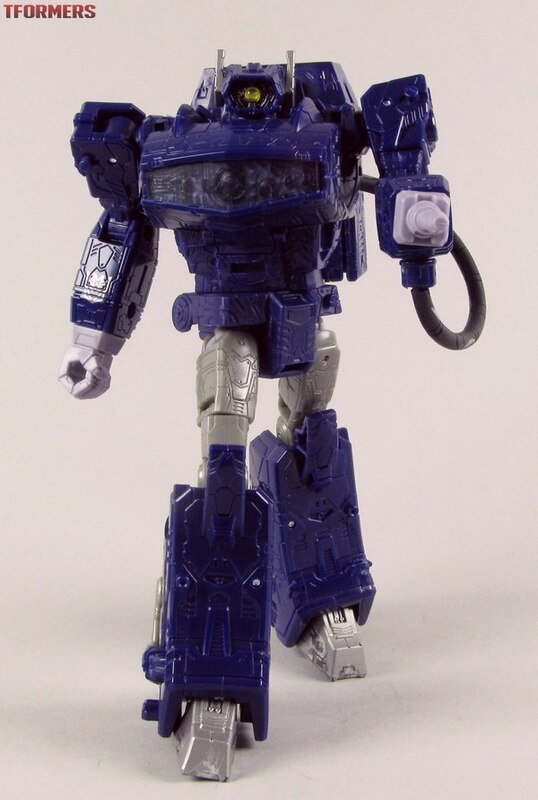 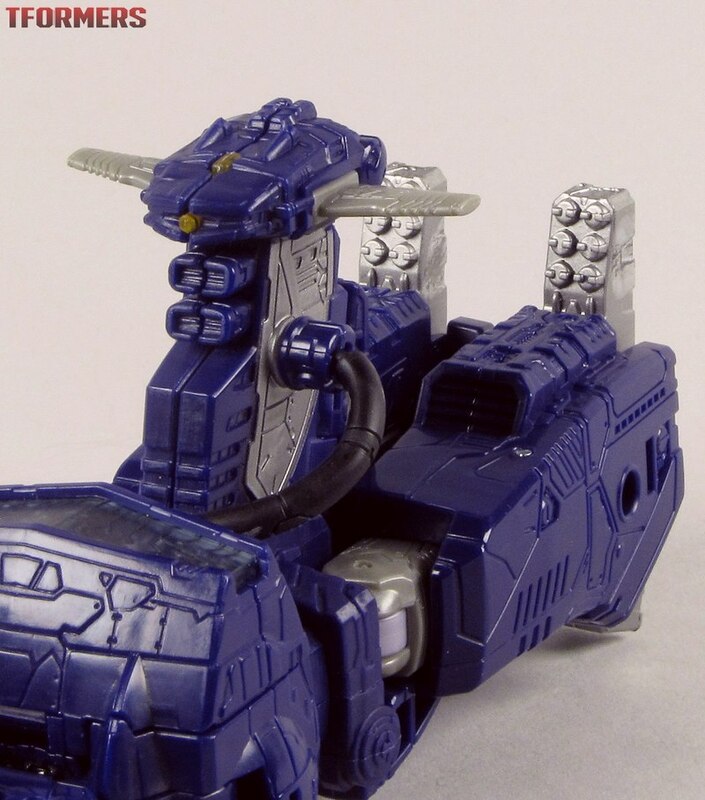 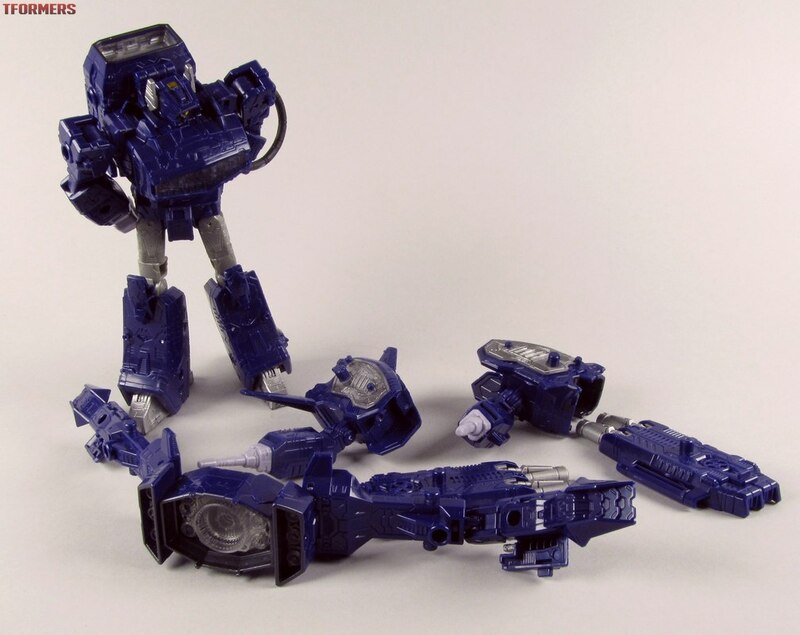 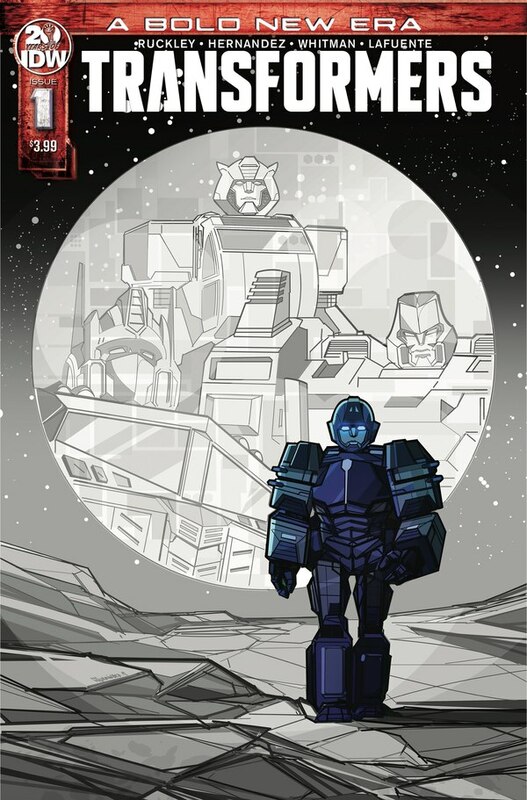 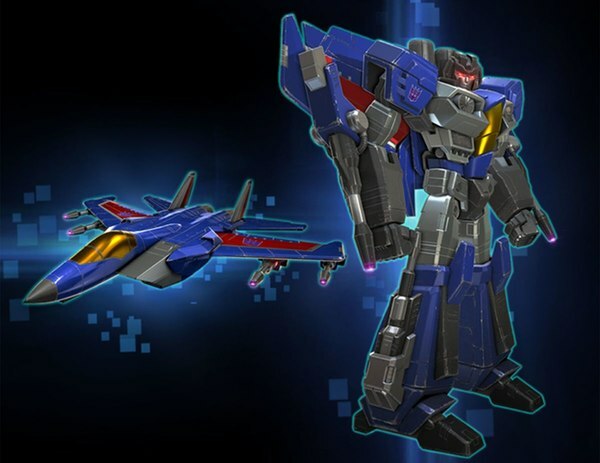 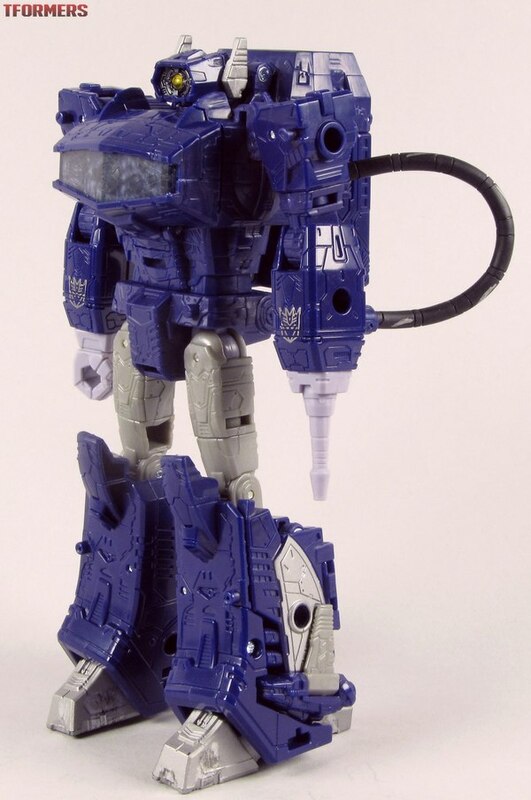 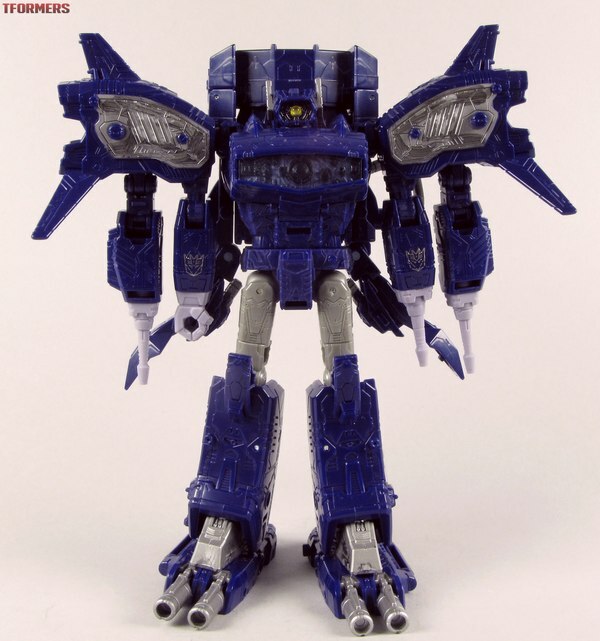 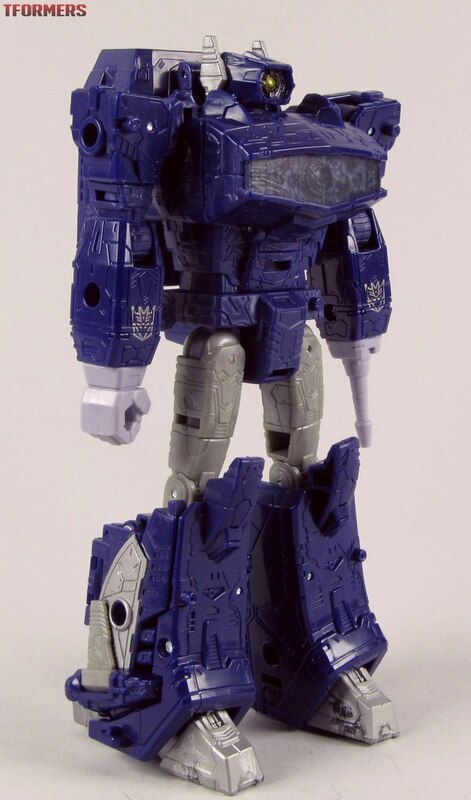 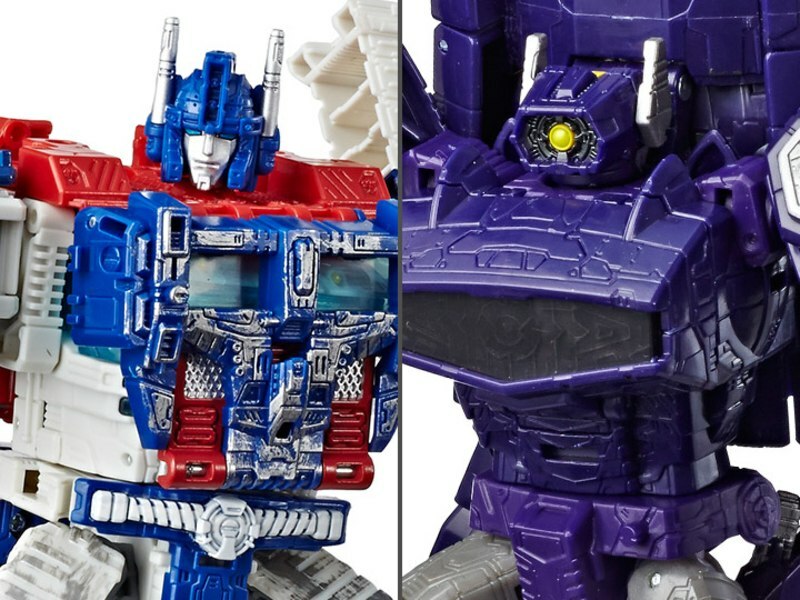 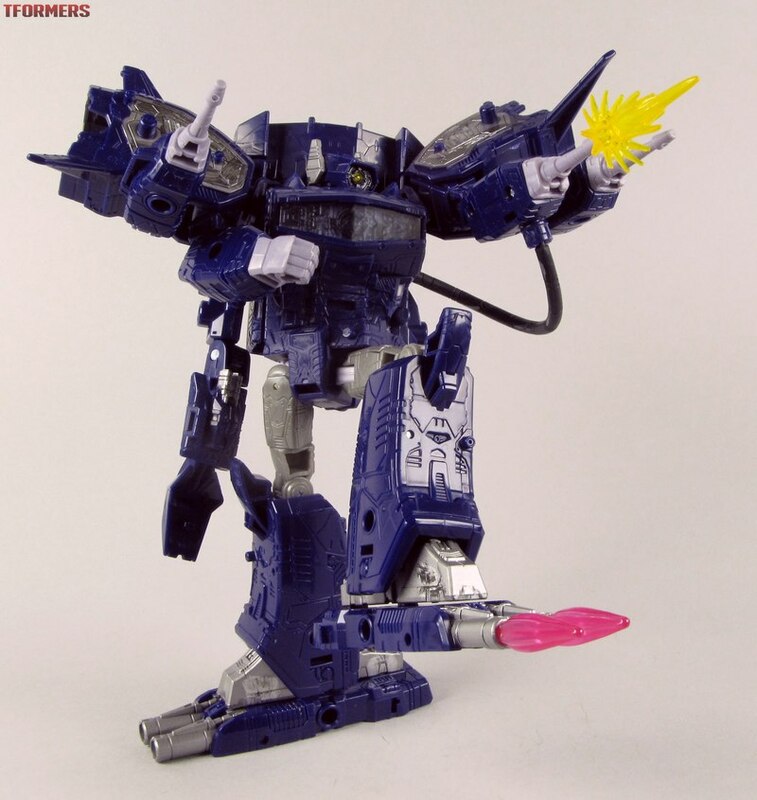 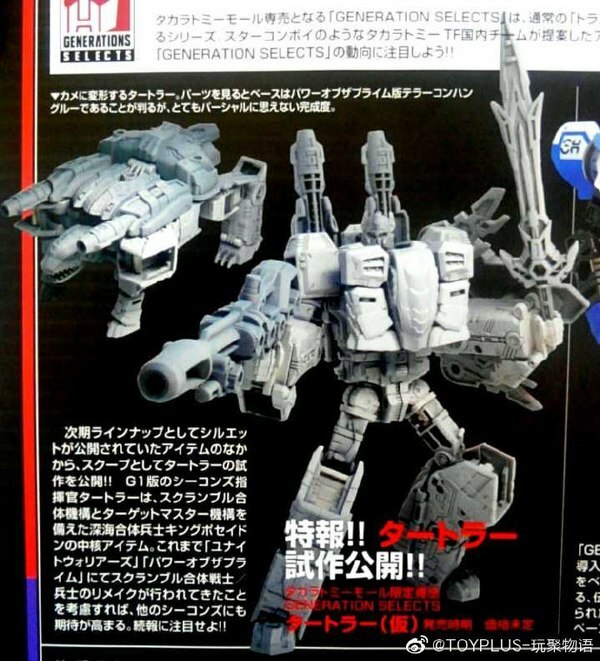 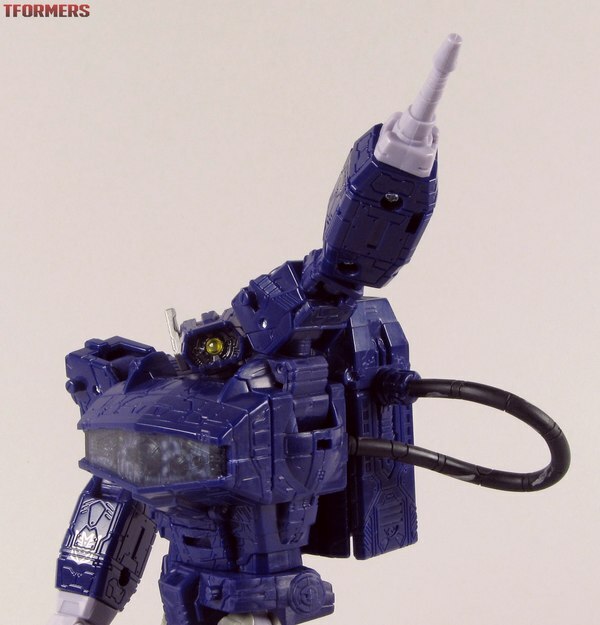 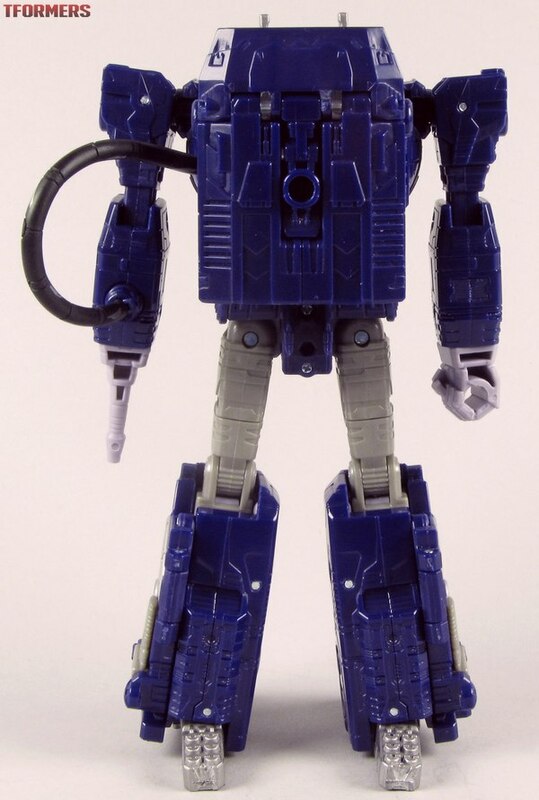 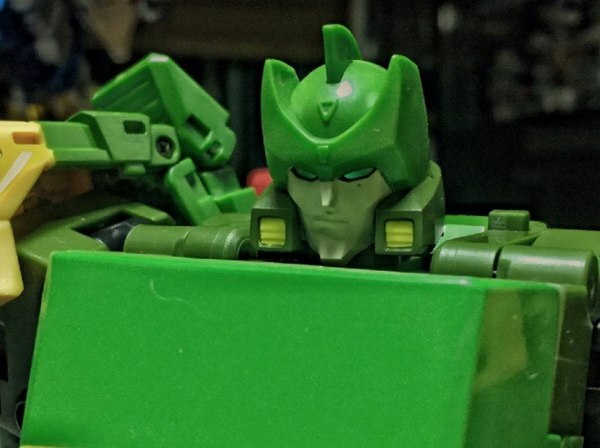 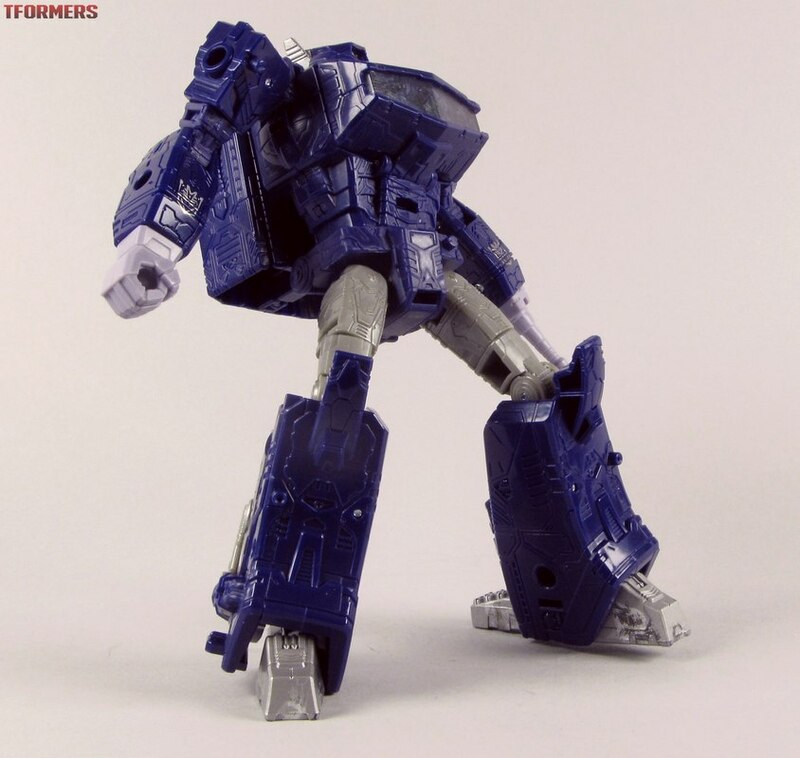 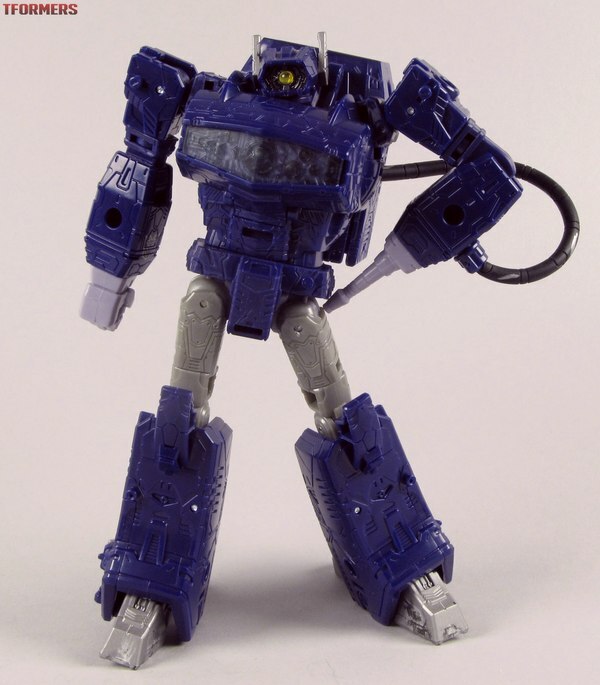 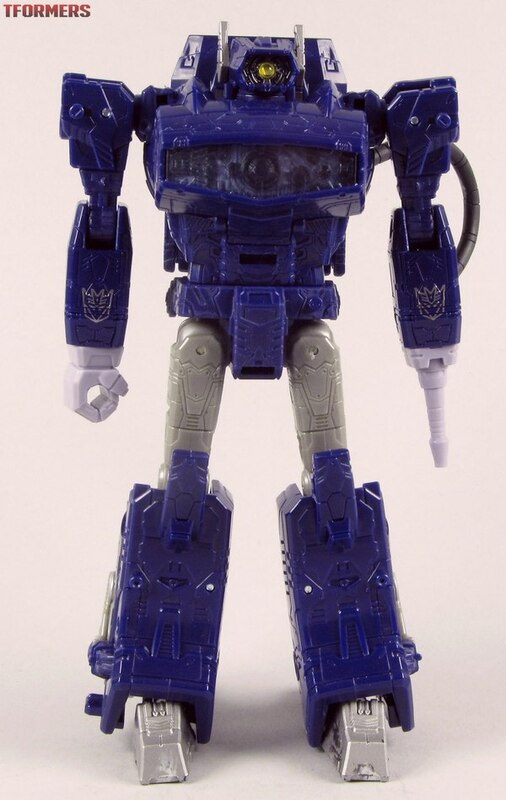 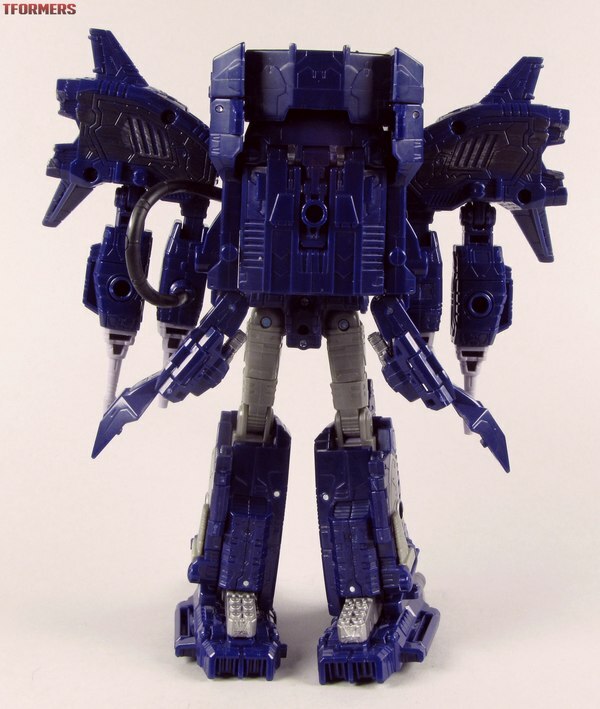 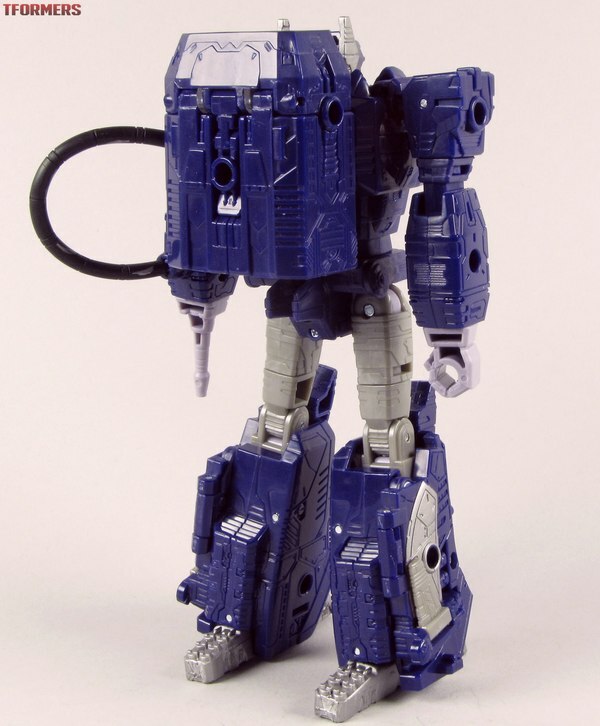 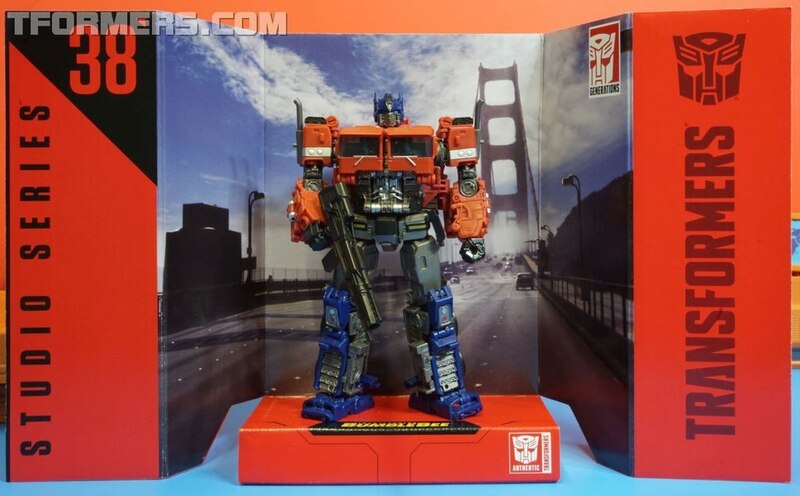 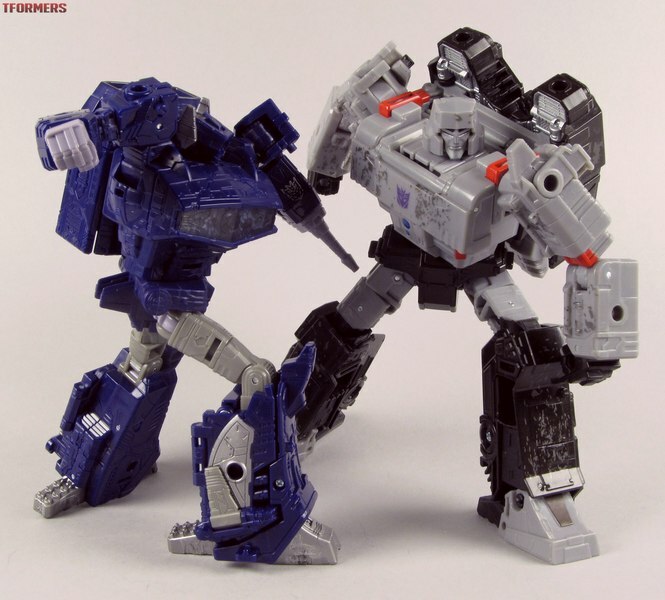 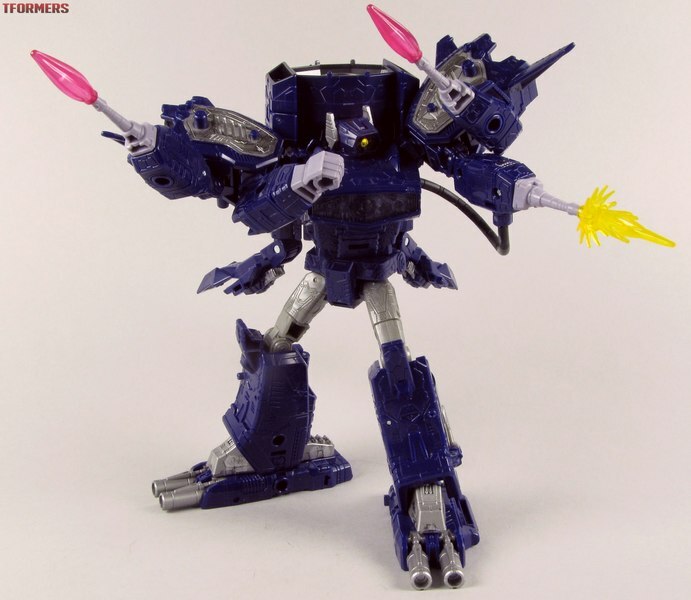 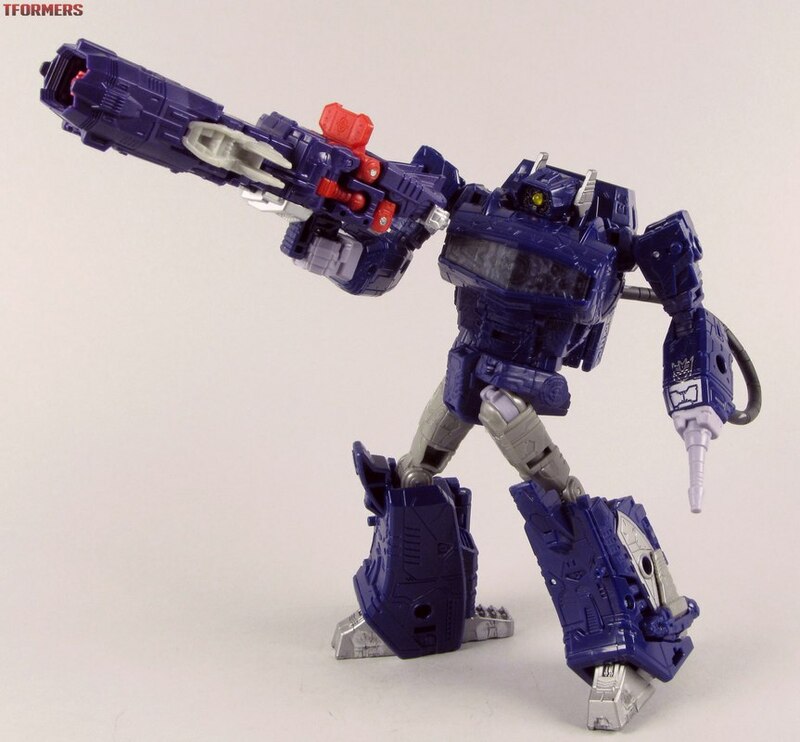 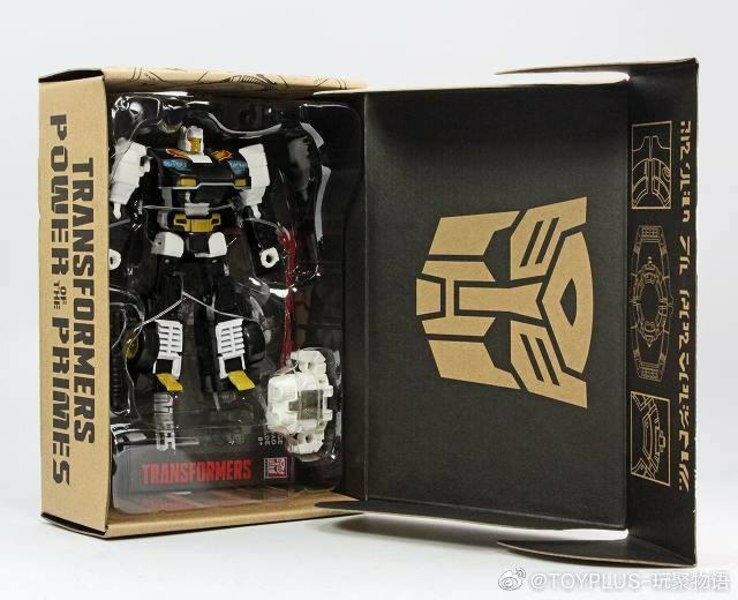 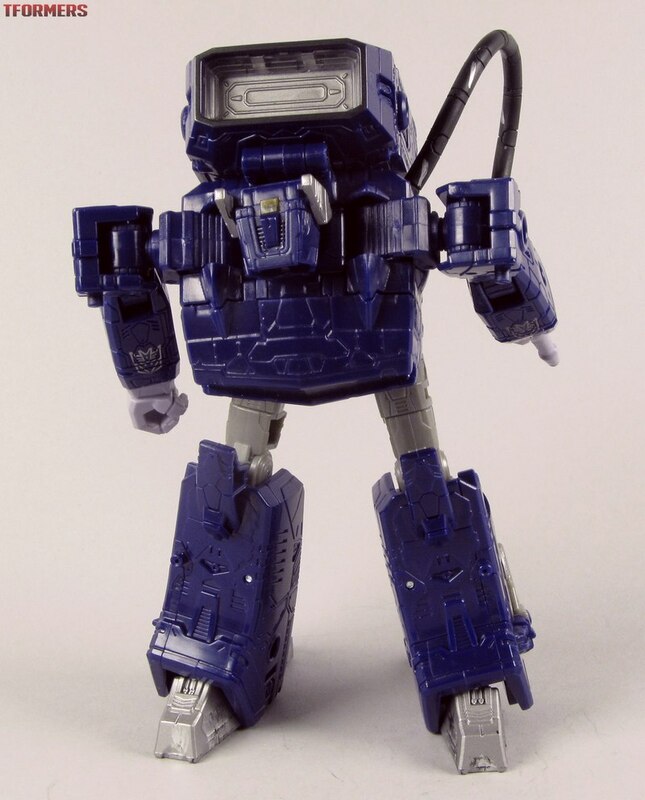 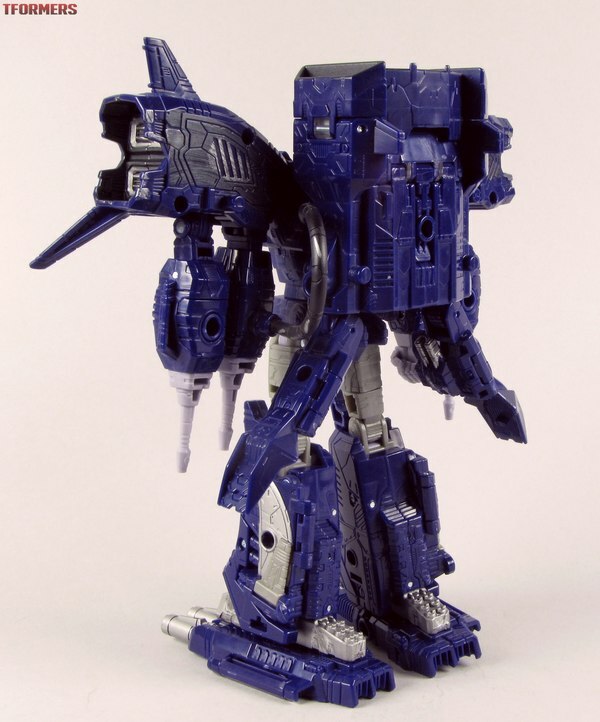 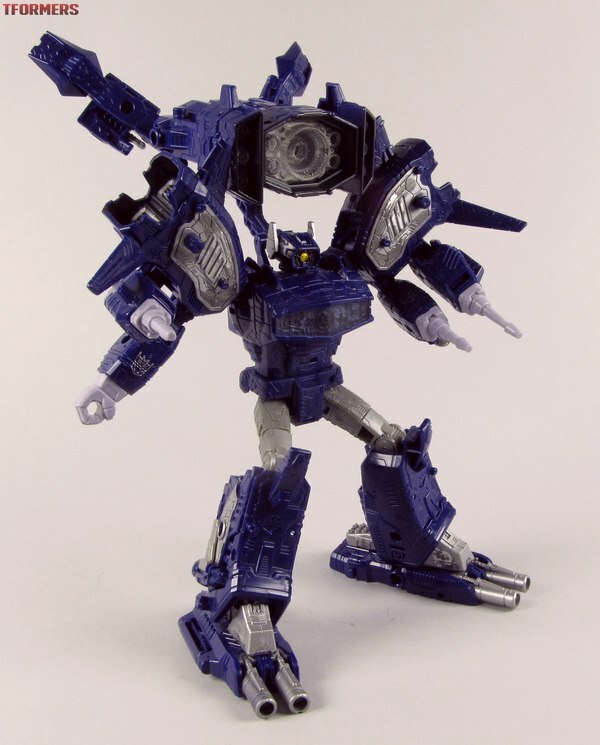 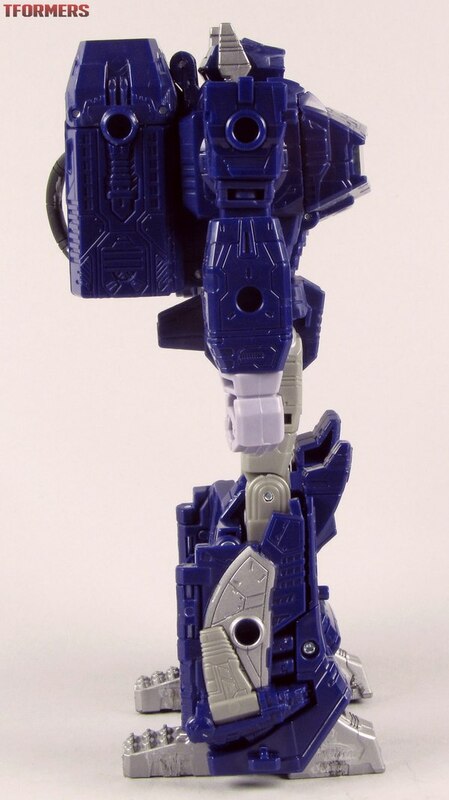 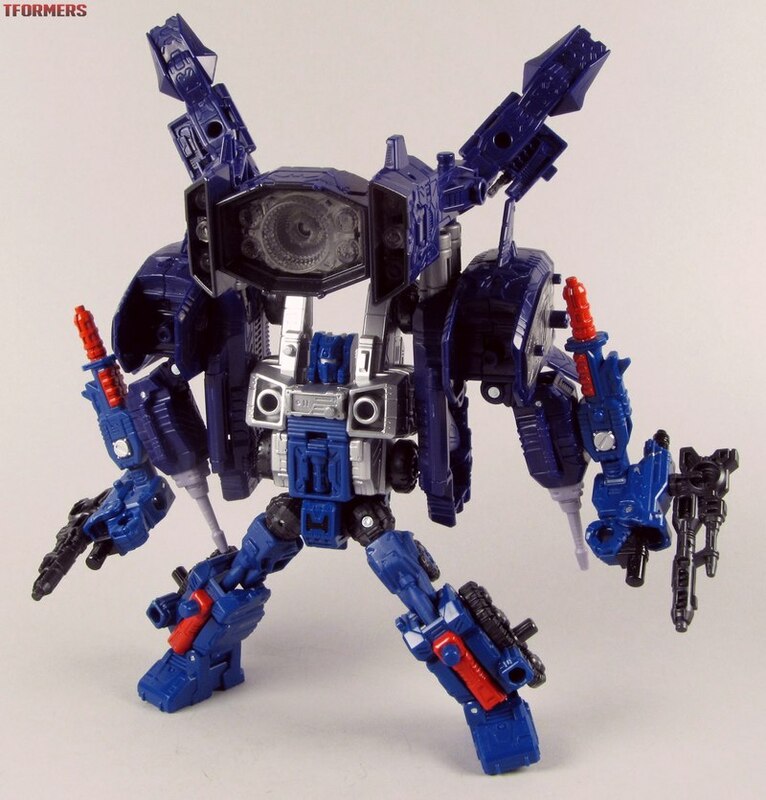 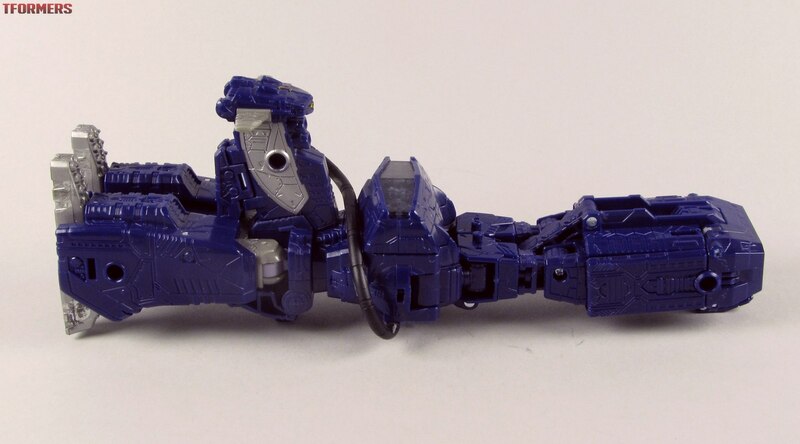 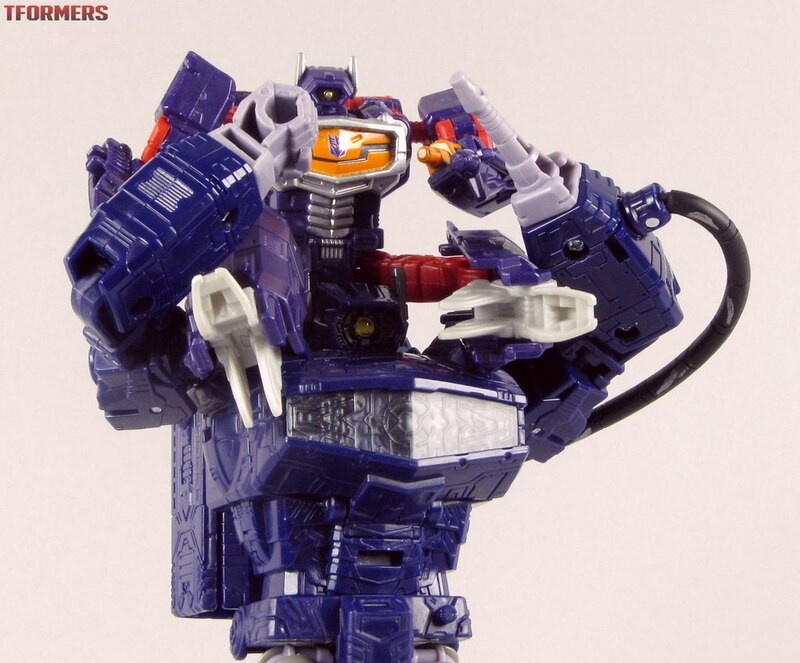 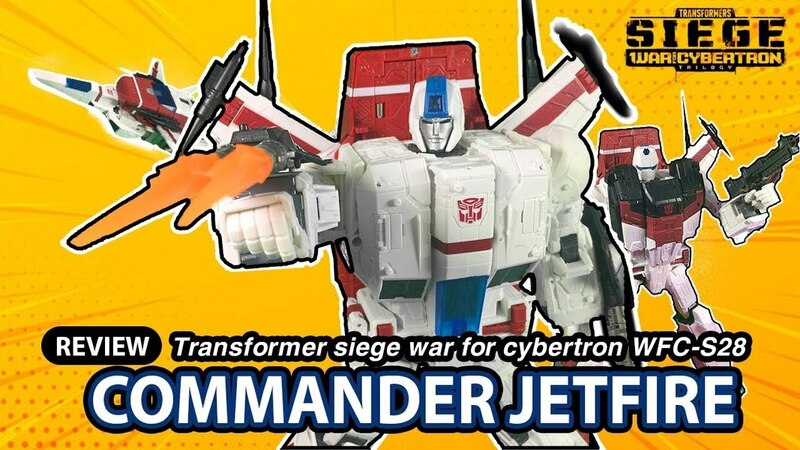 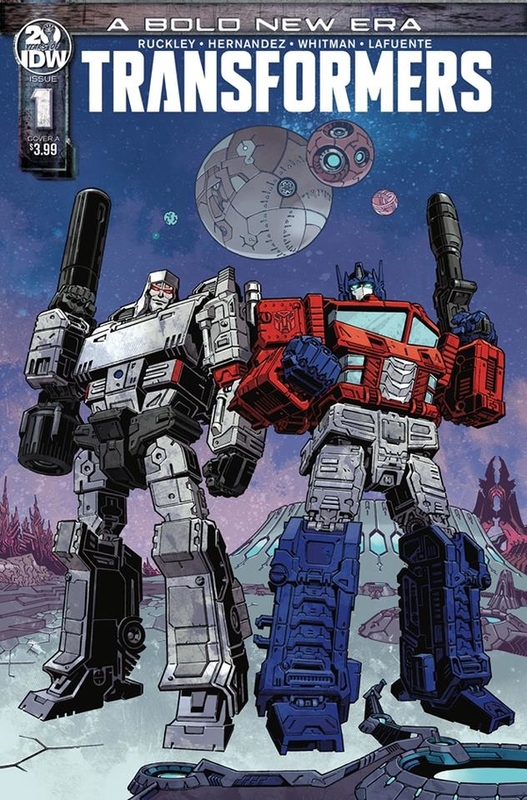 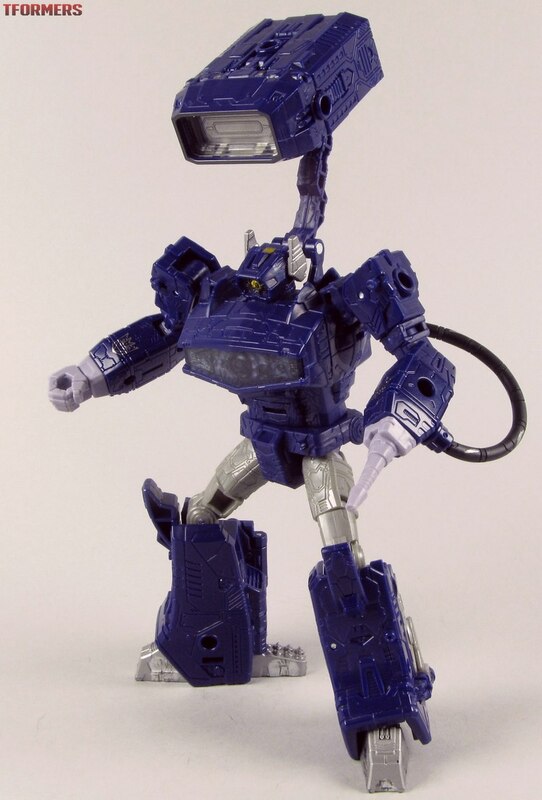 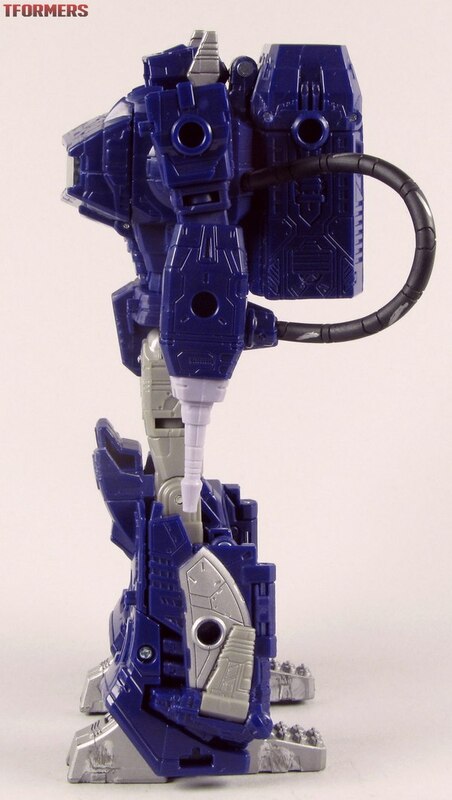 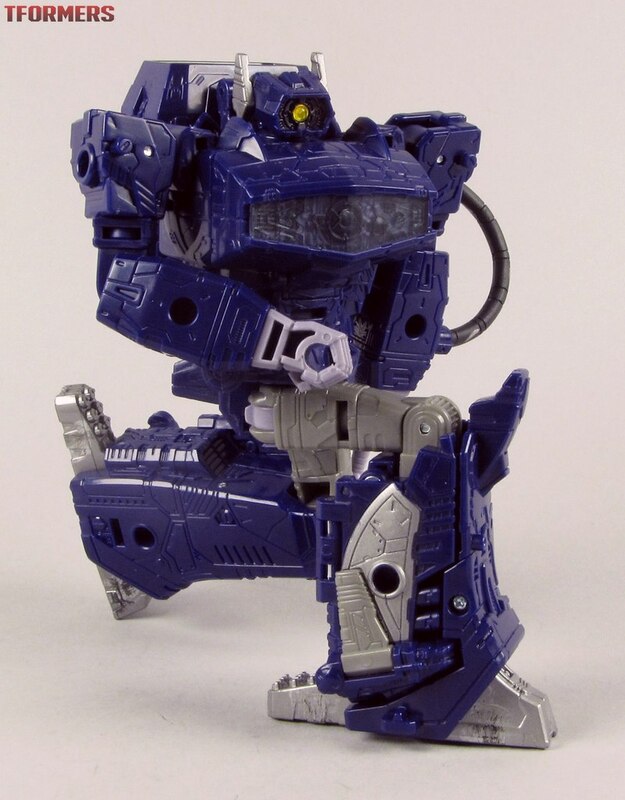 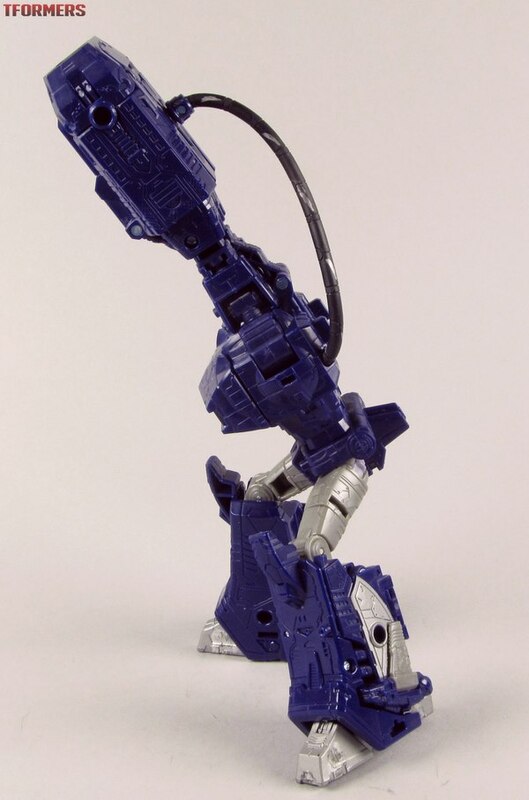 Nice photos, good to see that top-down pic that confirms he has light-piping "hole" on the top of his head for the eye! 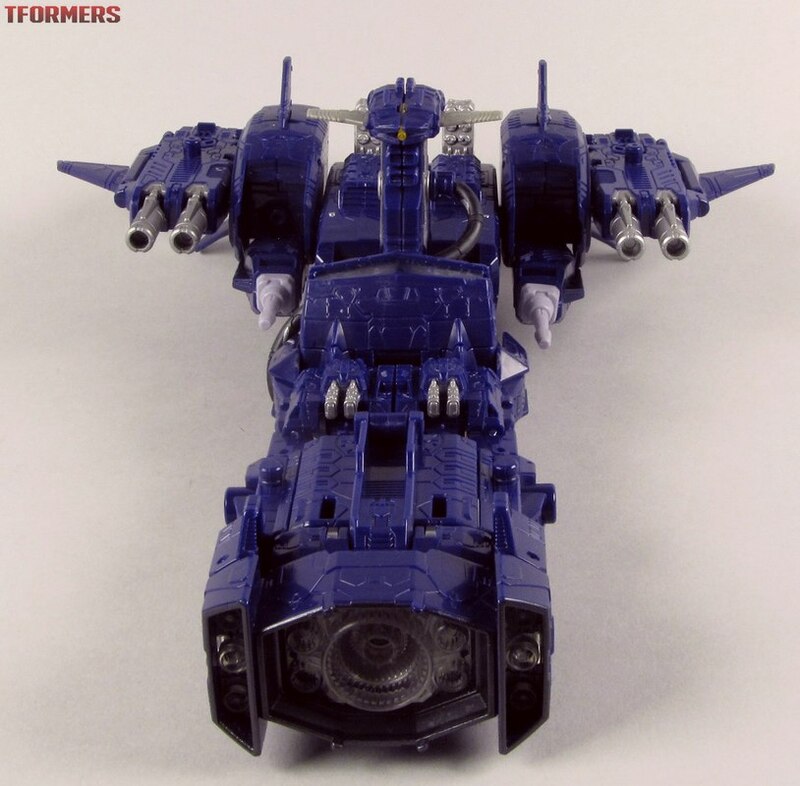 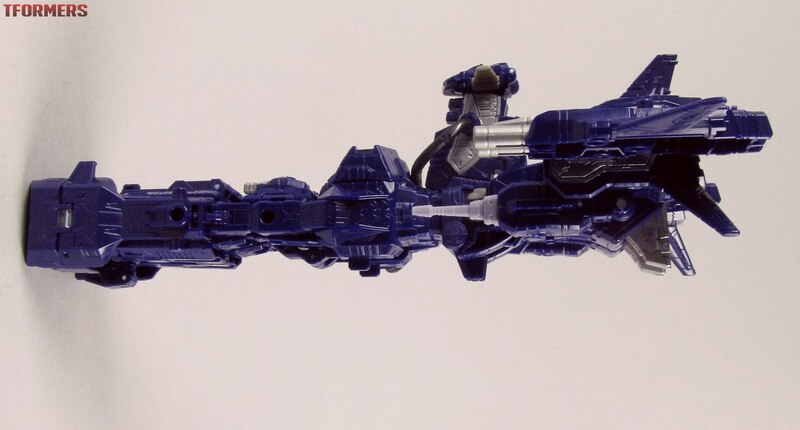 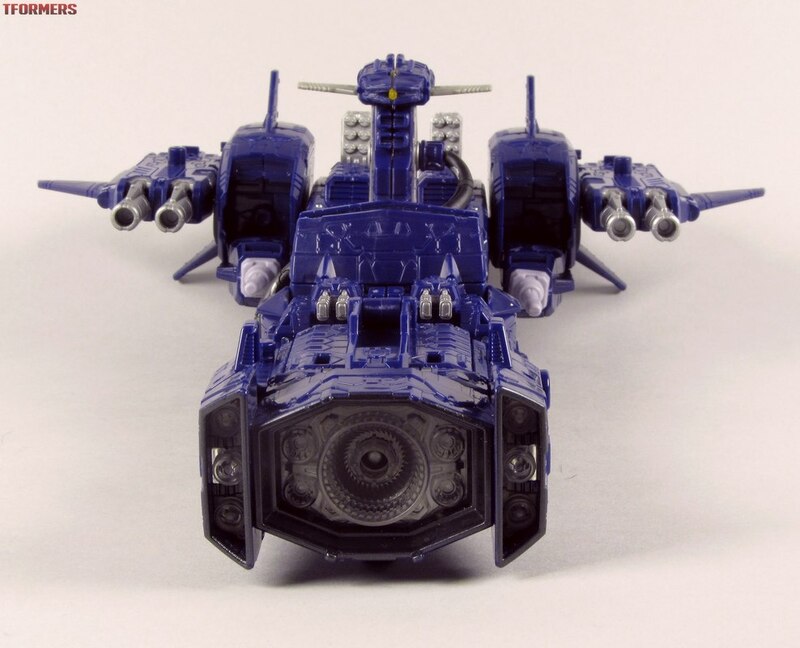 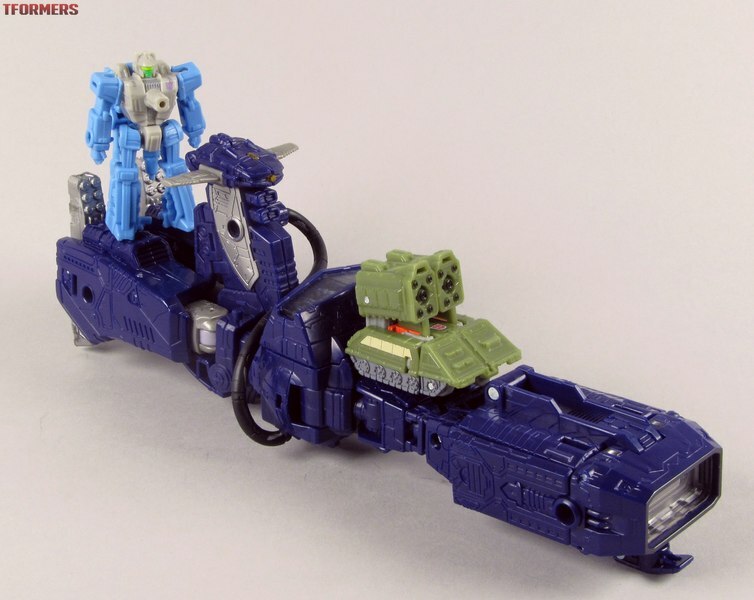 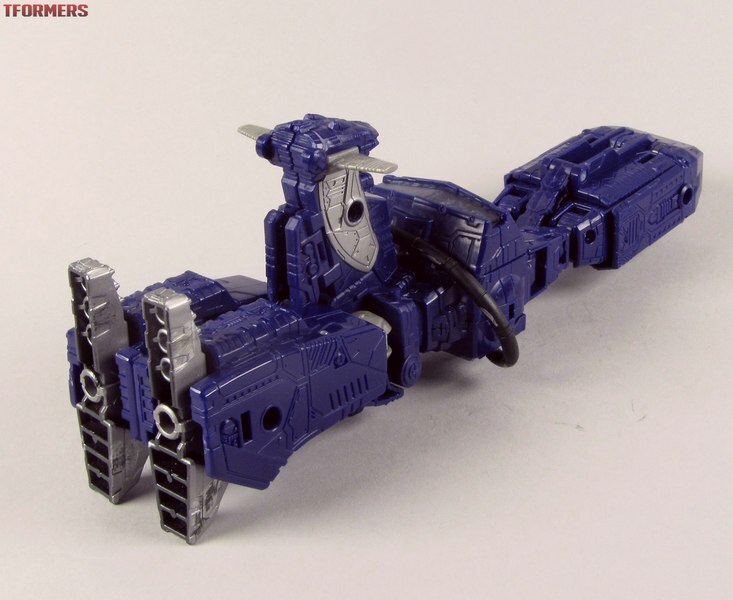 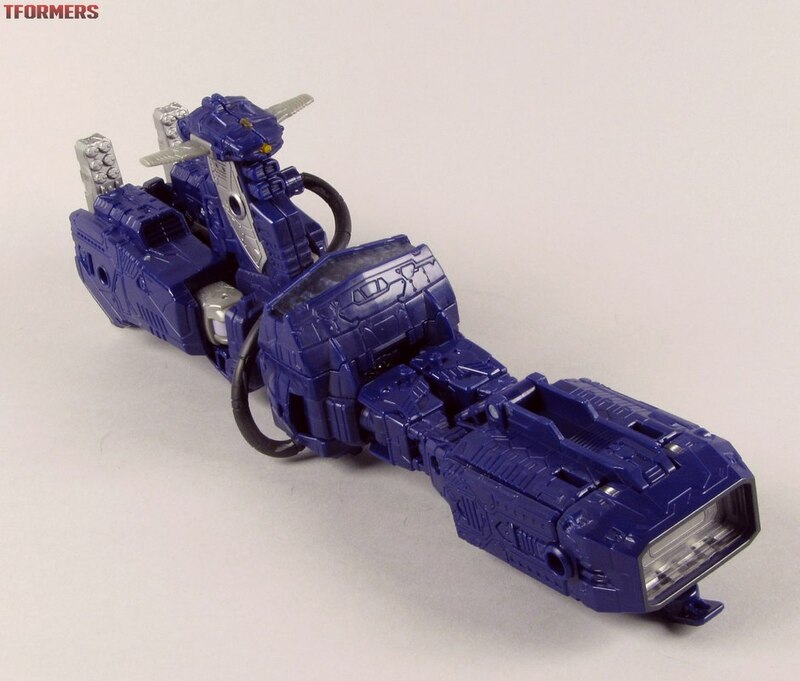 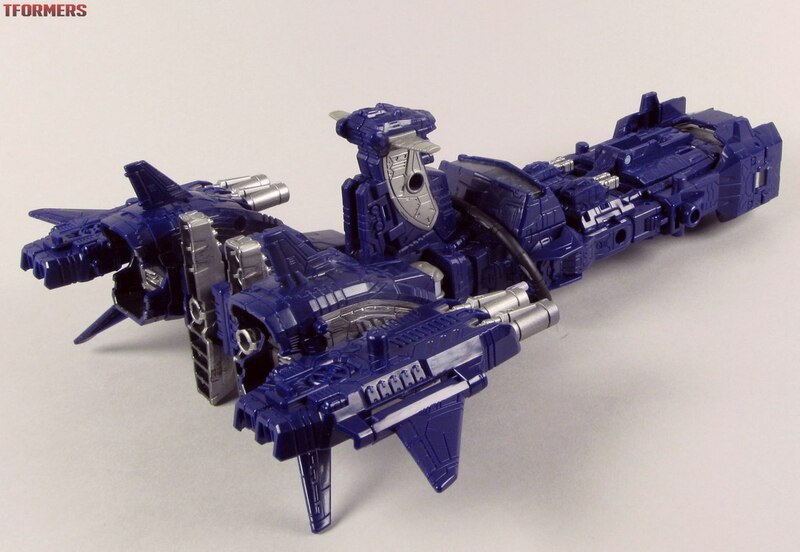 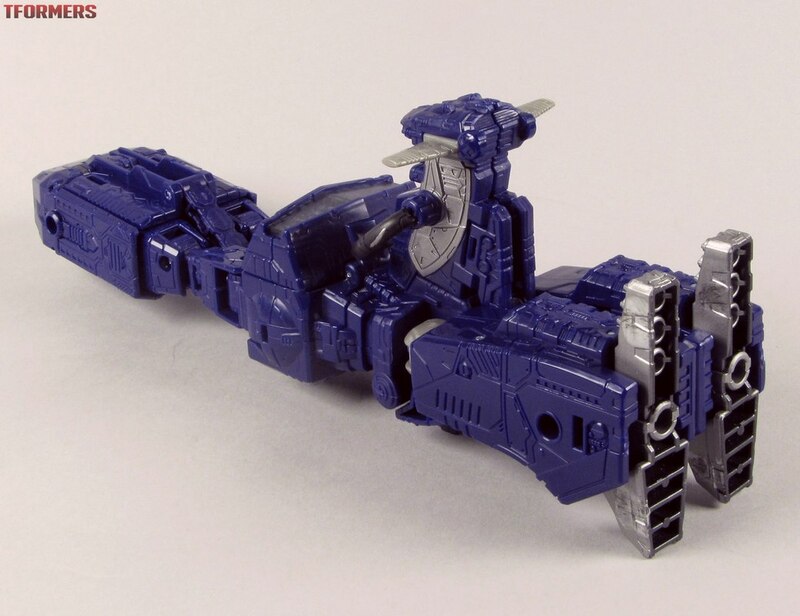 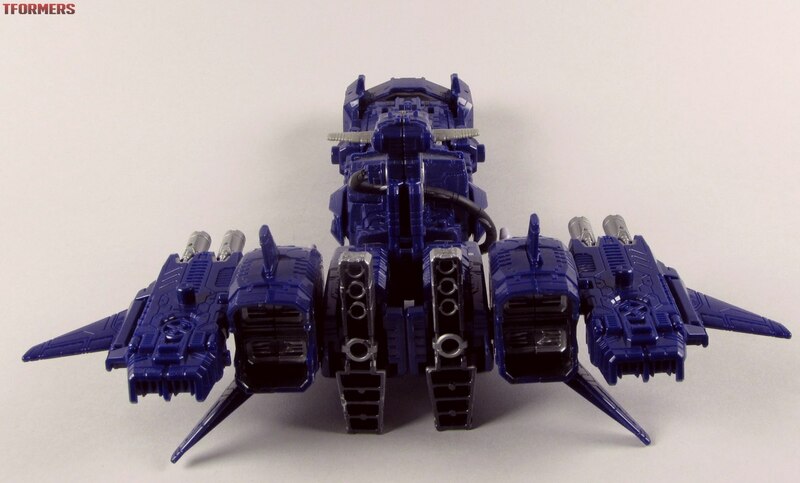 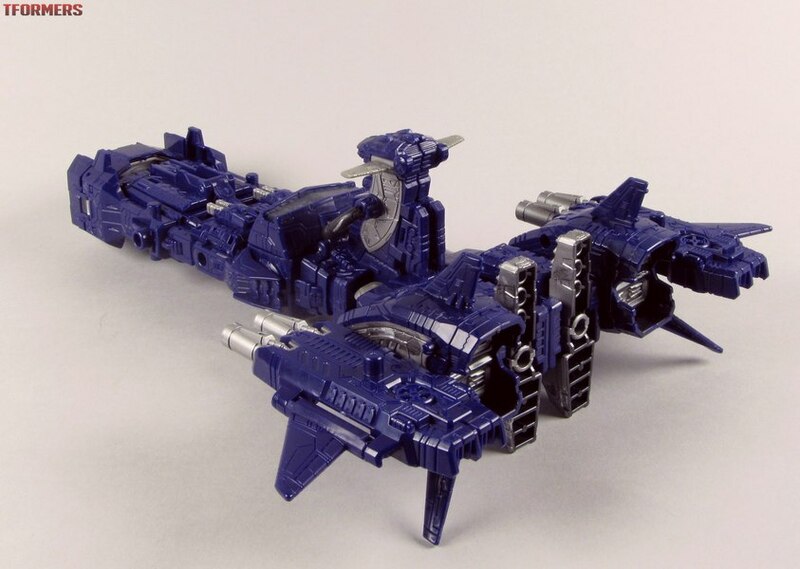 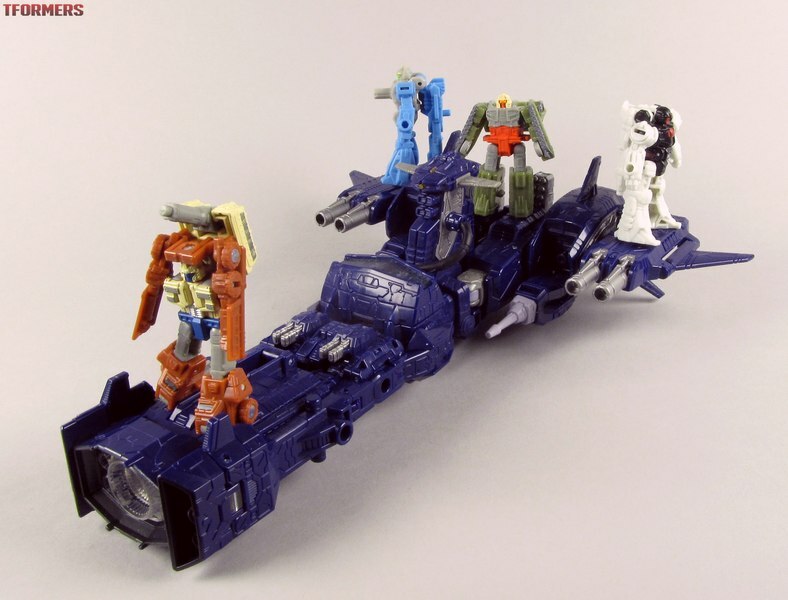 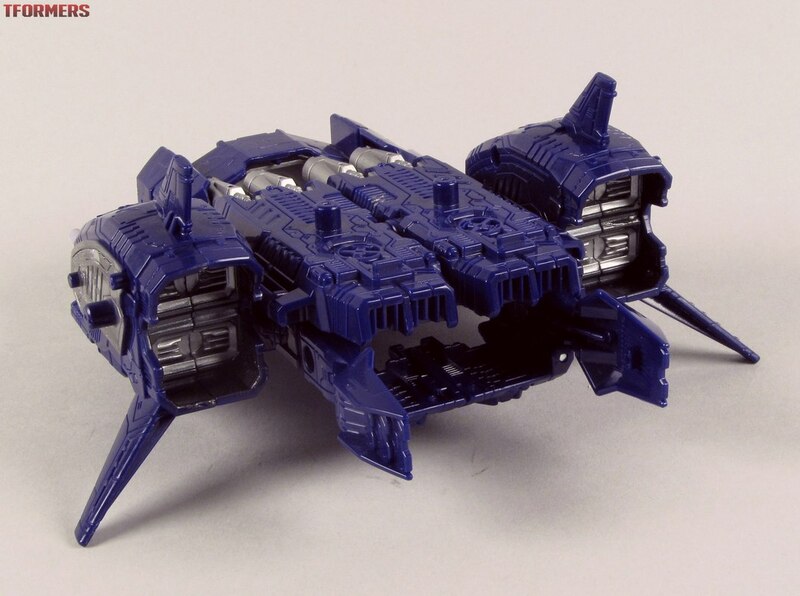 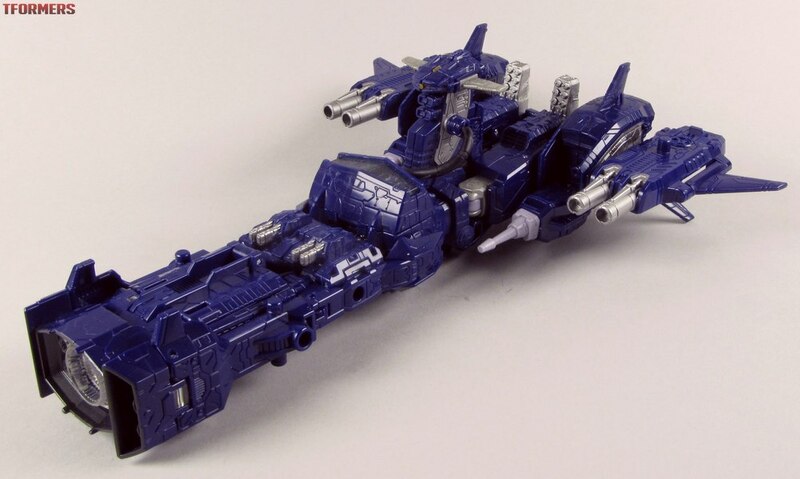 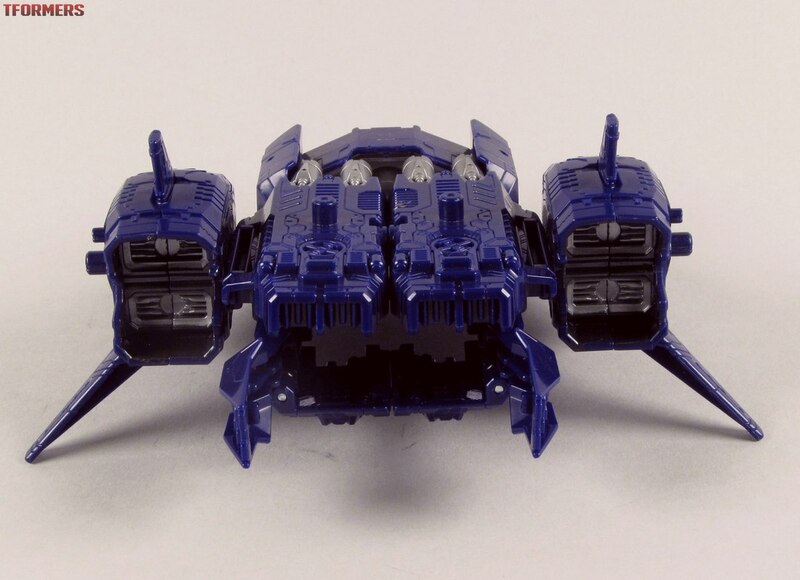 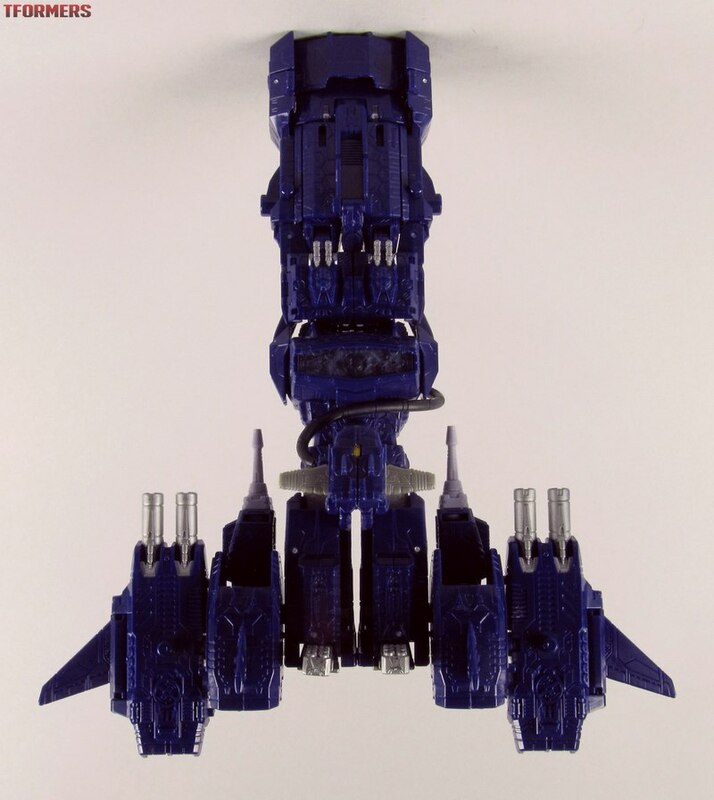 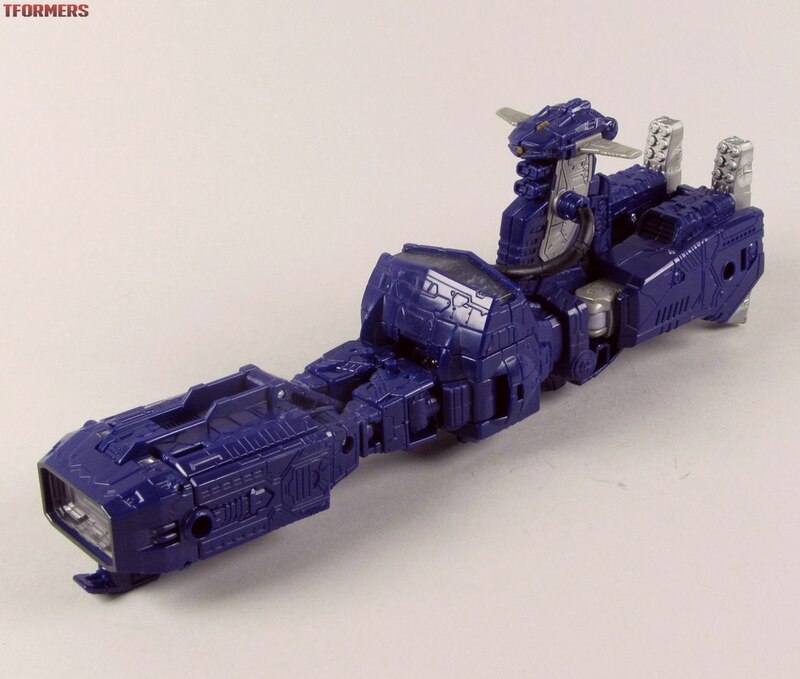 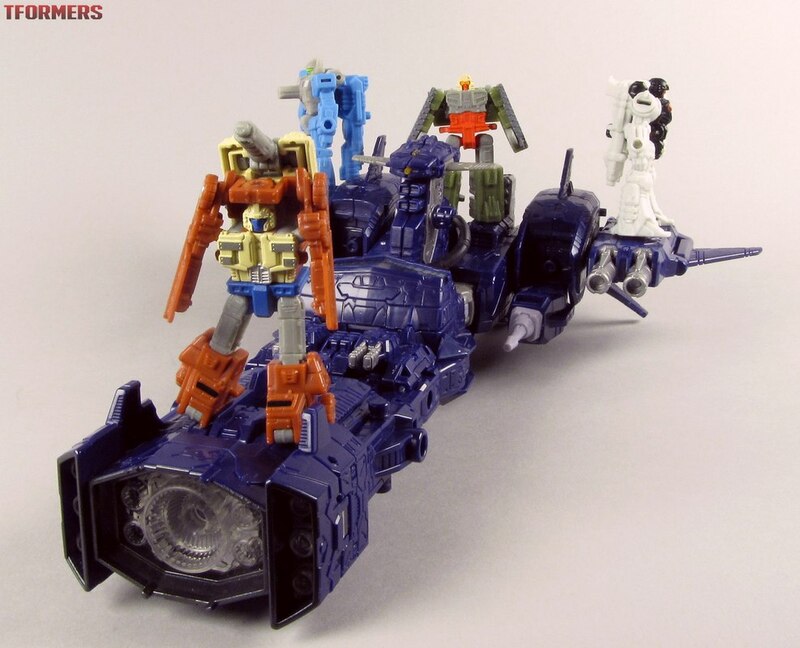 Though I do wonder, was it lost on the reviewer that the "spaceship" mode is just the G1 flying space gun upside down, same as the "submarine" was for Sixshot? 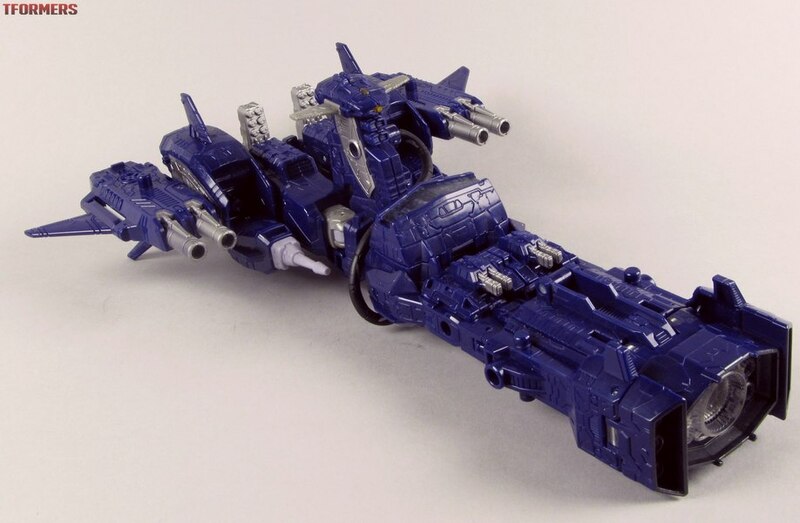 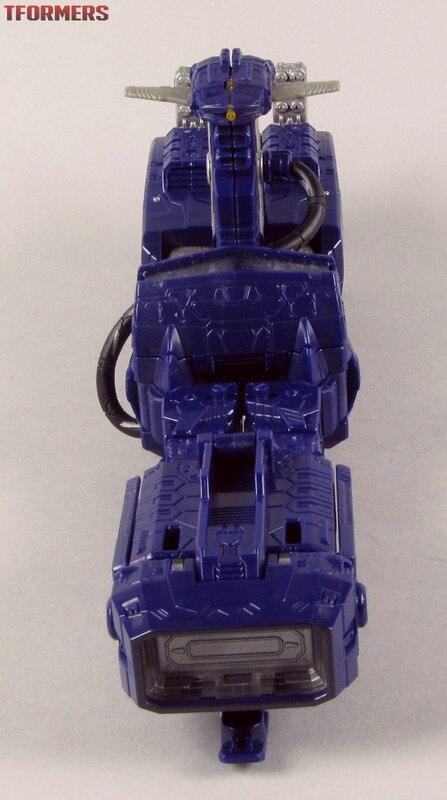 I expected to see some photos comparing the gun mode with the CW Legends toy's. 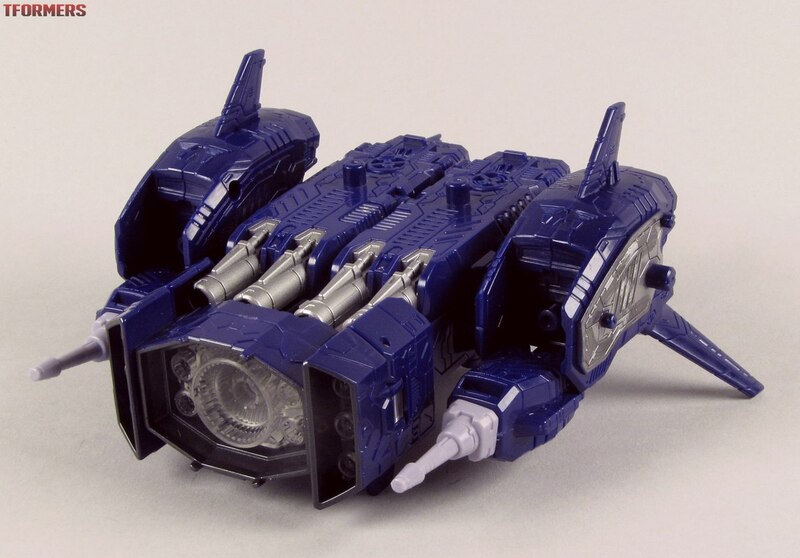 I mean, you just need to flip it upside down, fold in the "landing gear" on the barrel and close the wings on what becomes the grip.